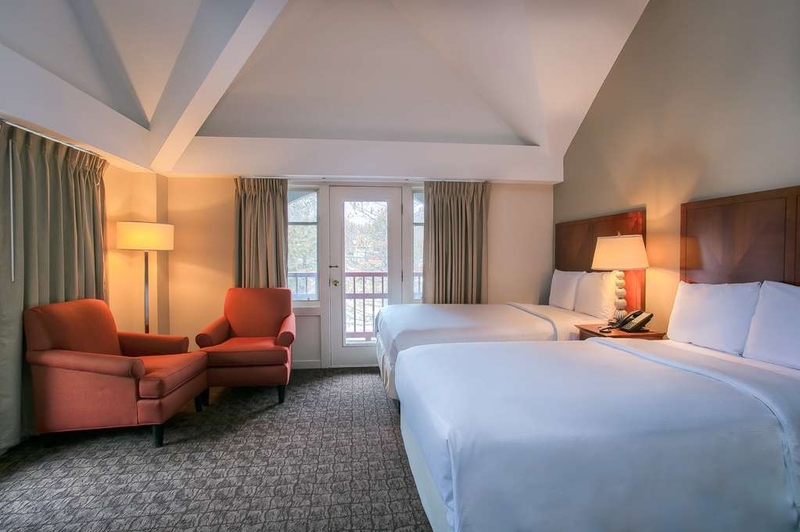 Das Killington Mountain Lodge, BW Signature Collection ist ideal in Killington Stadtzentrum zu finden. Erleben Sie ein schöner Aufenthalt in der Nähe von alle Sehenswurdigkeiten. Bestpreisgarantie und exklusive Angebote. Treten Sie ein in die Killington Mountain Lodge, BW Signature Collection, umgeben von den malerischen Green Mountains. Genießen Sie im Sommer den Blick auf den Garten, im Herbst die atemberaubende Laubfärbung und im Winter den tiefen Schnee. Halten Sie inne beim Anblick des majestätischen Foyers mit dem größten freistehenden Feldsteinkamin in New England. Schöne Kronleuchter von Hubberton Forge sind in der gesamten Lodge zu finden. 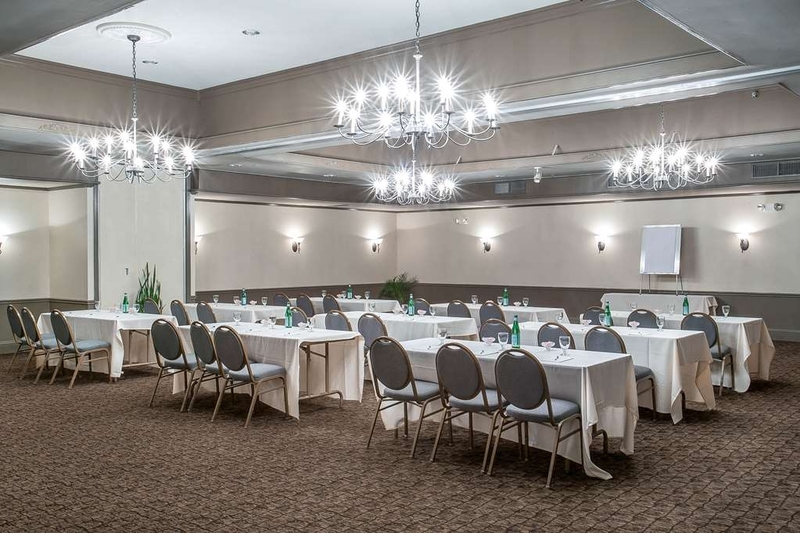 Unser Hotel liegt nahe der Mitte von Vermont und bietet kurze Fahrtwege zu den wichtigsten Ausflugszielen und atemberaubendsten Aussichten der Region. Dazu gehören das historische Woodstock, Queeche Gorge, das Skiresort Okemo und vieles mehr. Nutzen Sie das Killington Mountain Lodge als Ausgangsbasis, um von hier die Schönheit dieses großartigen Bundesstaats zu entdecken. Tagesausflüge in den benachbarten New York State mit schönem Lake George und dem historischen Saratoga sind ebenfalls möglich. Ergänzen Sie Ihre Garderobe in Einkaufszentren und Geschäften in Lake George, Burlington und Manchester. 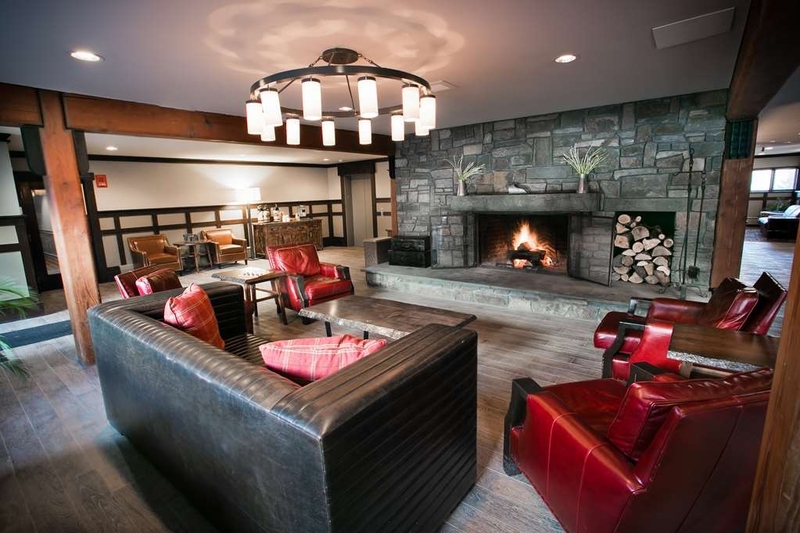 Die Killington Mountain Lodge liegt nur wenige Minuten von den besten Pisten von Vermont und dem Osten entfernt. Wenn kein Schnee liegt, können Gäste bequem mit dem Auto oder Motorrad zum Bike Park & Snowshed Adventure Center fahren. Hier gibt es im Sommer spannende Attraktionen wie die Achterbahn „Beast Mountain Coaster“, aber auch schöne Mountainbike-Strecken. Golfspieler schätzen die Nähe zu den beiden 18-Loch-Golfplätzen der PGA-Kategorie, die nur 15 Minuten Autofahrt entfernt sind. Kommen Sie zum Après Ski in unseren Pub im ersten Stock, mit Blick auf den grandiosen Kamin im Innenbereich. Neben einem herrlichen Bergpanorama bietet die Bar ein volles Serviceangebot mit heißem Whiskey oder Craft-Bier,und auf der beheizten Terrasse befinden sich zwei Feuerstellen und ein Wannen-Whirlpool für 20 Personen. Unser Resort & Ski-Lodge ist ein Ort, an dem man sich das ganze Jahr über erholen oder den einmaligen Charme der umliegenden Dörfer entdecken kann. Hey, crazidave25, thanks for the incredible review! We are so delighted that we were able to get you squared away with your reservation for the beginning of an awesome visit full of fun and activities, on and off the property. 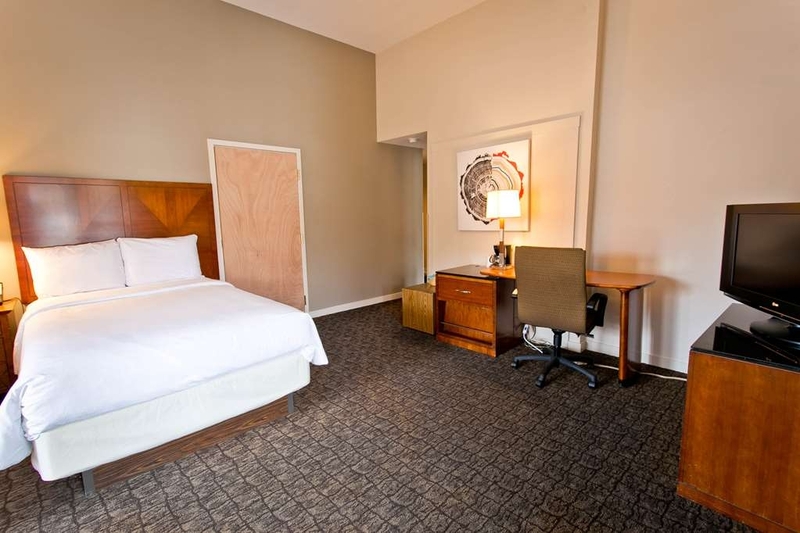 We especially appreciate the kind words about breakfast and our rooms. We do our best to provide an all-around great experience for our guests, and we are simply thrilled we hit the nail on the head during your visit. We appreciate your patronage and can't wait to welcome you back again soon. 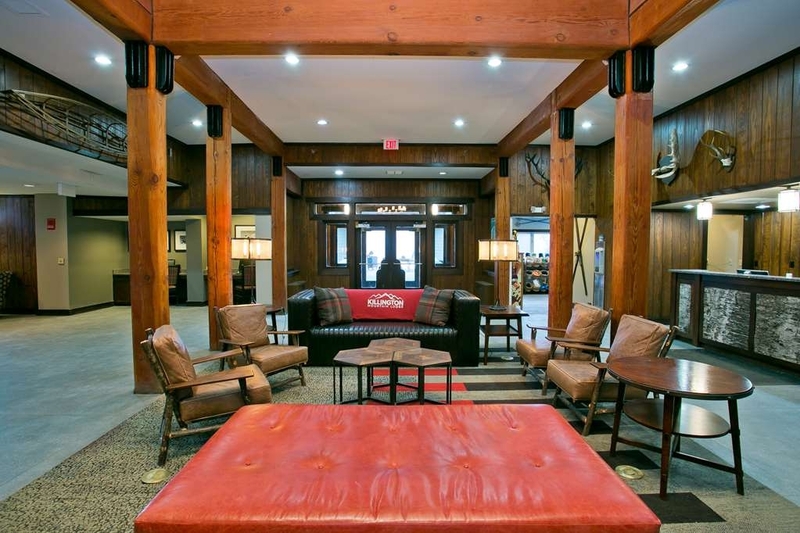 -Bradley D.
The Killington Mountain Lodge is exactly what you expect when you hear that name for a ski hotel in VT. Beautiful exposed beams add to the style that give it a warm fun log cabin feel. The lobby, lounge, pool area, hot tube patio are all beautiful and look recently redone. It's right on the Killington access road so super close to the skiing or whatever your up to. 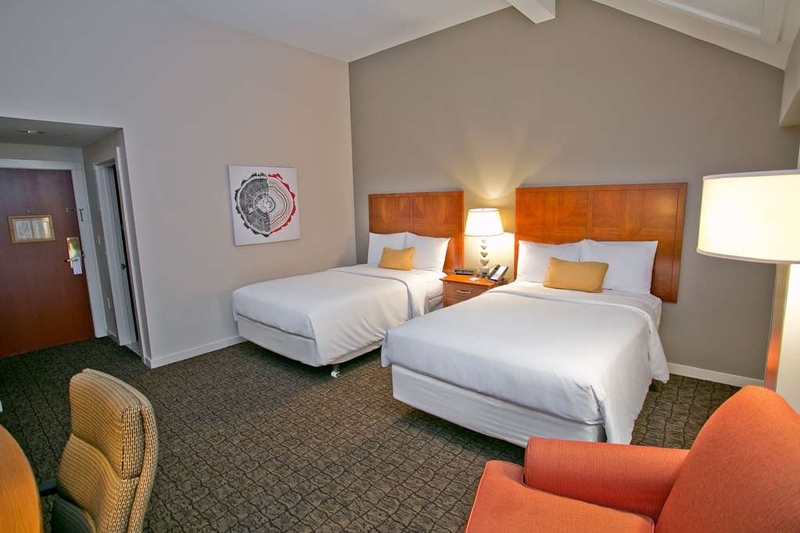 Neat clean rooms perfect for leaving your bags while you enjoy the area. We will definitely be back! We loved the common spaces in this lodge. We could sit by one of two fireplaces, play games (pool, cards, board games). There was a water station and coffee area. The breakfast was awesome. Huge spread of food with real plates and cutlery.There was a great apres ski atmosphere with the hot tub and bar. They even put out cookies and lemonade. Walking distance to restaurants and shops. Efficient ski shuttle to and from Killington ski resort. Rooms were basic but we spent little time there. 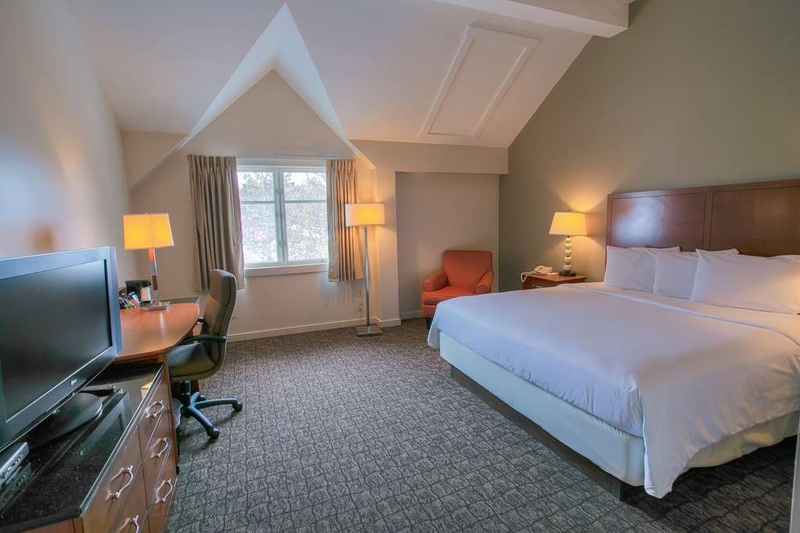 "The Best Place To Stay In Killington!" 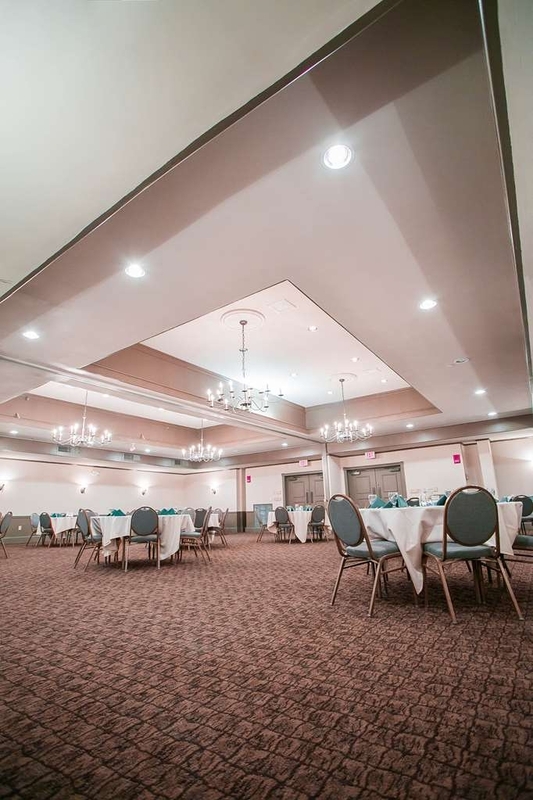 For 11 years I have been coordinating our company ski trip and each year we have stayed at this hotel (formerly it was called "The Inn of the Six Mountains", now "Killington Mountain Lodge" or simply "KML". But while the name has changed, the great service and value has not! 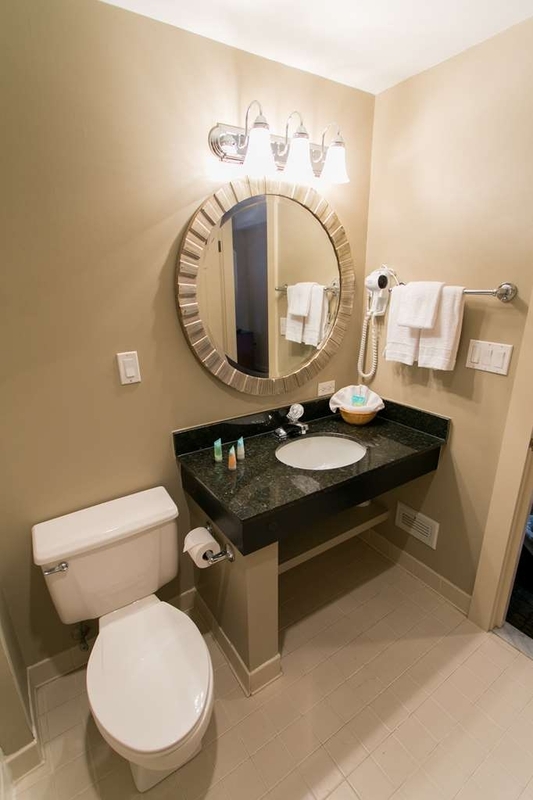 The rooms are comfortable, clean and spacious, the full buffet-style breakfast is perfect to start a great ski day, and the hot tubs are an awesome way to relax at the end of the day. The hotel has really nice common areas (with fireplaces) including a bar/restaurant area which is also really nice to have for those evenings that you don't feel up for venturing out....and also just to share an evening drink and stories of the day with friends and fellow skiers. The location itself is excellent - on the upper end (closer to the mountain) of the Killington Access Road within walking distance to SEVERAL great restaurants and the Basin Sports Ski shop! There is also very frequent (and FREE!) shuttle service back and forth to the Mountain during the day and to the restaurants and other attractions during the evenings. I get tons of compliments from members of my group on choosing this hotel as it's a huge step up from other hotels they've stayed at - on other Killington ski trips they have been on. And while it may be the best place to stay in Killington, it's certainly not the most expensive! To top it off, the management is very friendly and welcoming.... and the freshly baked (still warm!) cookies and apple cider each day at 4:30 add yet another nice touch to come back to - after a full day on the slopes! 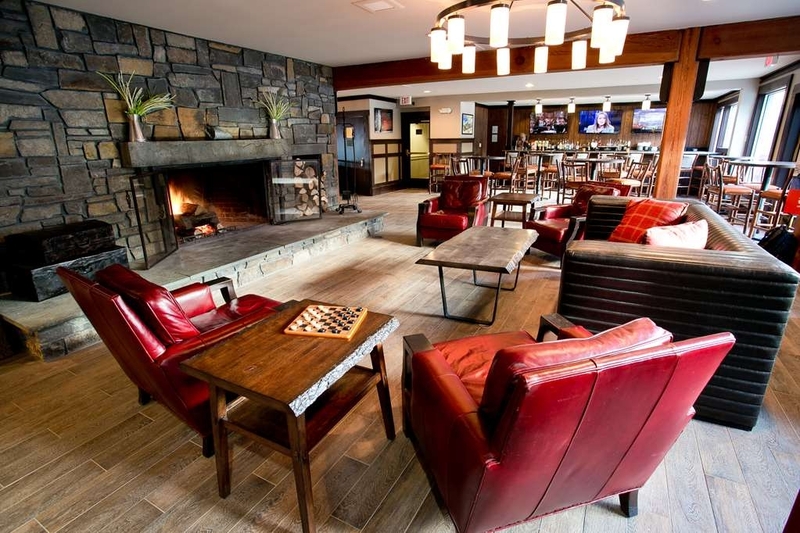 I highly recommend the Killington Mountain Lodge and our group will definitely continue to stay here for all of our Killington ski trips in the future. We had a really nice stay at the lodge, it was quiet until the weekend. Check in was easy, staff was friendly. The breakfast was a really nice option before getting to the mountain. The fire places were beautiful, the bartender was friendly and she helped us choose places to visit in the area. The hot tub felt great in the evenings and wasn't too crowded. We would definitely visit again. It definitely had a mountain lodge atmosphere but I guess a little dirt to go with it makes it ok. Don't look in the corners or at the front desk keyboards. Room wasn't too bad. Included hot breakfast was convenient. 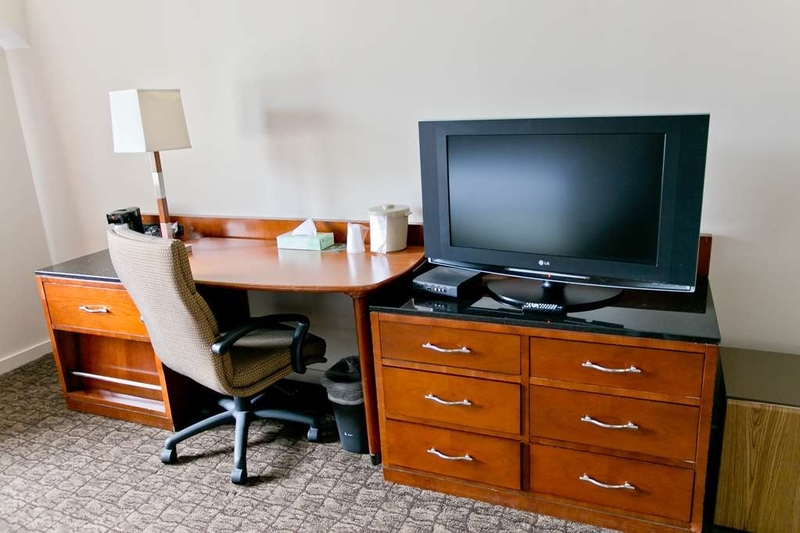 Hotel rooms and lobbies are worn, in need of refurbishing. Once you get past that, the price is reasonable. The beds were comfortable with fresh, clean, crisp linens. The complimentary breakfast was a very pleasant surprise. The scrambled eggs were real (not powdered); the scrambled eggs with cheddar cheese mixed in were great. Delicious breakfast sausage, selection of Quaker instant oatmeals, fresh yogurt with delicious granola mix and some fruit, pastries, toast, bagels and, on occasion, waffles. Staff were pleasant, and try to please guests. There is a free shuttle to Killington Mt in morning, and then in late afternoon. (Not all throughout day, though). "So much potential, but fell short"
So this is sort of a sad review. I actually feel a little bad writing it, because while this hotel was fine and we had a great ski trip with our kids and friends, there is a lot I feel needs addressing, so I'm here to do it. For the record, we are not picky travelers. We camp in the woods, we stay at roadside motels when we have to, we don't mind a little outdated or dingy if the place is well-run. This review is meant to be suggestive to the management and to give future travelers an honest expectation. This place as SO.MUCH.POTENTIAL. Oh my gosh, if they would just put some money into it, this could easily be a five-star lodge and one of my favorite hotels of all time. It's within a couple miles of Killington with the mountain as a beautiful backdrop. It has great bones and the makings of a true ski lodge with wood and stone details and big fireplaces. A pool, an outdoor hot tub, game areas, a nice breakfast area. It could be so good, and it really was fine for our needs. First impressions: From the outside, superb. This is where they've put money into in the last 20 years. Nice wood siding and colors, lit up like a Christmas tree at night. Beautiful place. Inside is where it took a turn for the worse quickly. The lighting is bad and the furniture needs replacing. Concierge area needs replacing; dark and dim and not inviting. Neither the fireplace downstairs nor upstairs in the lounge area were lit (we were later told there was a chimney fire a week prior and they couldn't be used until they passed inspection...I'd think that would be a priority in their prime season right before President's week, as it really damaged the ambiance, in my opinion). The place was overrun with teenagers, which is fine. We have three kids of our own who will be teenagers someday, and it was nice to see them enjoying themselves. The problem, however, is soundproofing. Our room was near the lounge and stairwell, so we had noise from both of those places as well as a near continuous sound of as if someone was moving furniture above us, like scraping chairs. The weird part was that our friends on the top (3rd) floor said they heard the scraping as well. The good news regarding noise is that they do shut it down at 10pm. Music goes off and everyone seems to quiet down. The rooms themselves were fine. White linens, acceptably clean, very roomy. But they need updating. Our shower pressure was terrible, the tub was peeling, and the property also had a hot water problem for one of the days we were there, which is really unacceptable for a large hotel. Some old and broken furniture in the room. No USB ports for charging. Need paint and new art. Other areas: The indoor pool was cold. Our kids were blue and shivering within 20 minutes. Someone else called management about it while we were there and they claimed it was due to someone leaving the door propped all day (on a 20-degree day, that would do it). The walkways to the hot tub were not shoveled, which seemed odd. If you wanted to brave the cold and go to the hot tub, you had to walk through 8” of snow to do it. The towels for the hot tub were also scarce; they went quickly and were not laundered quickly. One evening I noticed the unit for clean towels was empty and the bin for used towels was overflowing, and it was the same when we got up to go skiing the next morning. The breakfast area was nice but needs updating. Paint was shoddy, there was a hole in the wall over the coffee area? And speaking of coffee, this place has the worst coffee I think I've ever had. It was a travesty. Any decent hotel should have decent coffee, and the watered-down garbage served here is a pretty good example of the overall feel of this place. If you're going to cut corners, don't do it with the coffee! Staff: Meh. This was one of the more disappointing parts. Concierge wasn't particularly nice. Staff seemed scarce overall; like I said, no one cleaning up towels or offering friendly smiles throughout the hotel. The bartender was rude and antisocial; he sat on a stool in the corner behind the bar both nights with headphones on. The bar has so much potential as well; nice-looking with a few TVs. We thought it was odd that no one was sitting at the bar at all...but we didn't wonder why when we encountered the bartender. That's it in a nutshell. Would I go back? Yup. As I said, it was suitable and clean, just missed the mark on a lot of levels when you consider the potential. It gave the impression that it was barely hanging on in more than one way, and that's not a great impression to give. I really hope this place gets a big upgrade soon or gets bought by someone other than Wyndham to give it revamp. "Horrible despite the good will of management. " This is probably my fourth stay at this hotel over the last 15 years, I don't believe they put a penny into improvements over those 15 years. First their check in time is at 4 PM which is already late, I arrive there at four and they made me wait in the frigid lobby for over one hour to give me my room. Yet when I went up there the room was still dirty and not ready. It's only after I made a scene that they got it ready for me. Needless to say the place is aging and dirty. They are not ashamed of putting a duck tape over the screen of the fireplace that they don't turn on. They serve a horrible coffee in the lobby, and when it runs out at 4:15 they don't bother replenish it. When we went back to room after dinner we noted that it was freezing. It took us at least five phone calls and an angry visit to the lobby to get them to bring us a room heater. I agree with some of the reviewer that the place is extremely loud and full of raunchy kids. I did not personally see any drunk parents. Yes the hot tub looks disgusting. Breakfast is basic continental and of poor quality. They don't even bother clean the tables after people so you have to sit on dirty tables. This hotel it seems caters to schools sending large group of kid, Who obviously don't know much about cleanliness. It is not meant for families and young professionals like us trying to spend a good time at a ski resort. On the other hand I have to admit that it's close to the slopes. Management was doing an effort to please me and hence refunded me one night because of the misery we encountered on the first day. I thank them for that however I will not be staying at this hotel ever again until they put in the $20 million worth of improvement that it deserves to become a livable space again. I am surprised that best Western is willing to give this place an endorsement. We apologize for the difficulties during your stay and appreciate you taking the time to let us know your thoughts. "Good location, not sound proof"
This hotel is perfectly located near all the restaurants and bars. Its a short drive to the slopes and they have an amazing shuttle service that delivers you to the slopes and returns you back to the hotel. There is a good hot tub, and a decent breakfast with eggs, potatoes and sausage, as well as cereals, granola, yogurts, breads and pastries. There is a microwave, which you need to use to heat things up. The rooms are fairly large and clean. You can easily adjust your thermostat. Our biggest complaint was the noise. It is like the hotel was made with spit. We heard everything in the hallways. We were near the stairs, and heard everyone clomping up and down the stairs in the mornings. Every door closing could be heard in our room. Yet, despite the noisiness, we enjoyed the resort given its great proximity, ski storage, and wonderful shuttle. "Our Winter Home (Thanks KML)"
We are season ticket holders at Killington for over 18years. we stayed everywhere on the access road over the years. This has become our family favorite, we love the Staff, The GM Ed, is great, along with his team, Jess, James, Max, just to name a few. Yes, If a guest can name the staff, that says a lot about the staff. This has become a very popular place in recent years, and for good reason. It has everything you could want or ask for, along with a great location. Nice large free form hot tub with a fire pit (two) great full breakfast, fun bar with live acoustic guitar (Jessy is great) and very comfortable rooms/beds. We ski from October to May and this is our families "Ski Home". I am looking forward to a few more months of skiing, and will of course be staying with our friends at KML. If you haven't stayed here yet, you wont be sorry, one of the best places on the access road. Wayne from CT.
"Fine for a short ski trip"
Great Location, close to mountain, shuttle service was good. Hot tub was awesome. Afternoon cookies were a nice treat. Could use a coat of paint in hallways, updated bedding, and more staff readily seen and cleaning / updating. Stayed here in the fall and the scenery in and around the area was fantastic. Fall colours must have been at their peak as we got some great photos on our touring around the countryside. 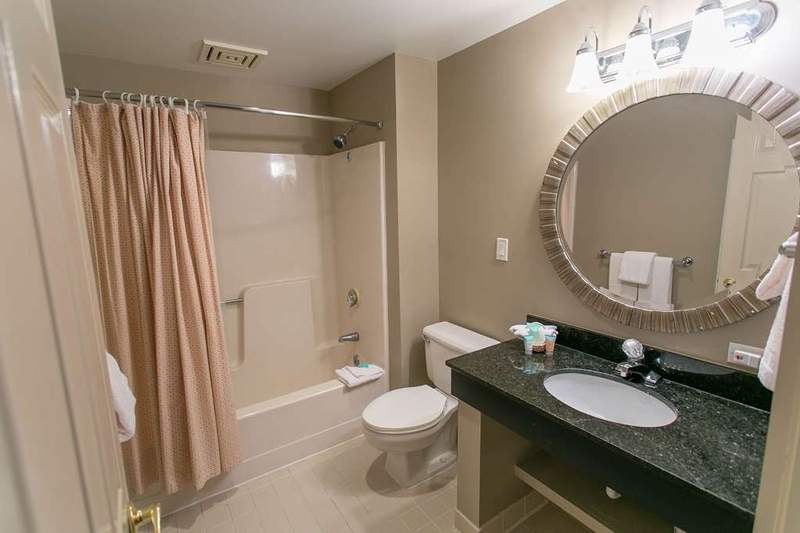 Hotel very helpful in suggesting places to visit of historical and other significance. Will definitely return and will recommend to all our friends. I have just about stayed at every hotel on the killington access road. There are cheaper places and there are nicer places, ALL are better than this hotel. This was neither cheap nor nice. Every other hotel you are getting what you payed for, but not here. This hotel was a dump, my room had holes in the walls. While I had a thermostat, it was a dial with no numbers, so I couldn't set a temperature. There were screaming kids running up and down the halls until about 10 pm, and then their drunk parents coming back at around 2 am. The hot tub was disgusting, seems that it hasnt been cleaned in quite some time. Everything you touched was slimy, you couldn't even sit it was so gross. The breakfast was basic bland continental breakfast. You can find better breakfast at most of the other hotels in this price range. And don't even bother using the elevator, it takes minutes to move 2 floors. When we arrived there was also vomit on the elevator floor. All that and they charged me an additional $1000 and have yet to here back from the GM. "This is place never disappoints!" We stay here every time we go to Killington, which is often. Big room, awesome view, great breakfast, everything is very comfortable and homey. The staff is always friendly and helpful. All the other guests are friendly. The hotel sent me 2 emails requesting that I submit a review ... you asked for it! In general the hotel and stay where fine for the one night I was there, but here are some general take aways from my stay: In general the property is tired and signs of wear and tear abound. 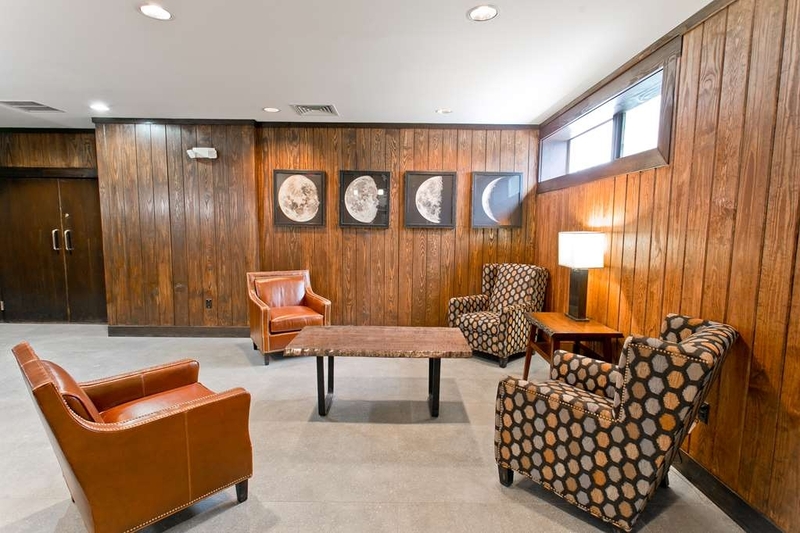 I know how the photos of hotels, etc are produced but found it comical that for instance, the website photos show the pictures of the phases of the moon, which upon arrival were all crooked (not like photo) ...didn't effect my stay, but one of many small details of lack of upkeep. Check in: When we (3 all with separate rooms/res) checked in, the front desk attendant disappeared each time to physically go see if each room was ready. Also there was a couple who needed towels for the hot tub, since they just needed a few towels we suggested the clerk help them first ...this required another walk somewhere to get them towels. Took way to long for all of this to happen. Room: The room lacked a few things, like a directory or services and TV channel guide, and to a certain extent, heat. No channel guide is bad enough, but when the TV isn't programmed to NOT show the unused channels, it makes for a lot of clicking through static to find anything. I prefer a cooler room for sleeping but in the morning wanted to warm things up a bit..went in search of the thermostat, it appears to have had a plate attached where a thermostat would normally be. There was a almost imperceptible amount of warm air coming through the heat duct. No individual room heater/AC unit ... but then I noticed what looked like a karaoke machine on the floor...turned out to be a small electric space heater, exposed, glowing element and all, it did heat the room but I can't imagine that such a device is legal in this application. Water pressure in shower was abysmal. Fellow traveler noted many of the same, if not worse conditions in his room. Would I stay there again, maybe, but to be a "Signature Collection" property implies a higher level of accommodation. I booked this property based on the trip advisor reviews for a long weekend ski trip. Bottom line, the hotel is outdated and dirty. I will say the bed and linens were clean and suitable for sleeping that was about it. I was surprised as the reviews seem positive. If you are looking for a cheap place to rest your head and go skiing maybe its for you. If you are looking for a resort type vacation I would look elsewhere. I will say once my wife and I complained and informed them we would be leaving; the staff refunded the 2 nights we had remaining and tried to remedy my disappointment. The staff were friendly and helpful in this regard. The property is just not kept well. In conclusion a reasonable priced hotel with a clean bed nothing more. I stayed here on the recommendation of a friend. 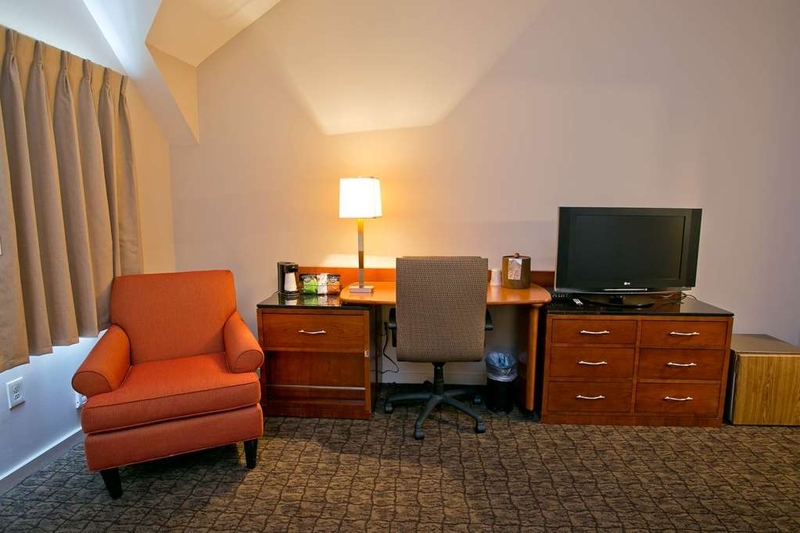 He noted it was a relatively cheap but clean hotel close to Killington. He had liked the buffet breakfast too. That is what it is. Nothing fancy. Some fun games to play with the family or friends in the common room. Largish hot tub outside (didn't use as windchill -30). Small bar with food (bright in pizza). The hotel and rooms are seriously outdated. Don't care about that. The room was frigid though! Gaps to an outdoor balcony seeped in frigid air. The warmish air pumped out until 2 am then turned COLD! I had to ask for a space heater in the middle of the night. I'm from up north and was with my tougher kid, but cold is cold. I wasn't asking to sleep in a shed. I literally had recollections of my wintertime deployment in Afghanistan! Had a crappy Chinese air conditioner that could generate a little warmth in your B hut. But at least there I had a modular sleeping bag. Truthfully it was one of the colder nights, but, you get the point, the hotel needs better heat. Even the fireplaces were out when I went to get the heater. Bed was fine. Bathroom was old but clean. Electricity worked. There is a mini fridge but that was redundant! The stay was worth about half of what I payed. We are sorry for the difficulties during your stay. Thank you for taking the time to let us know as that is how we improve. We've been coming here the same week every year for the past 10 years. Over the years they've made welcomed improvements. Well this years seemed like they're going backwards. Our main reason for coming here is the awesome Hot tub! Well it wasn't hot nor was it clean this year. We made numerous complaints as did other guests and all we were told is we're working on it. But nothing changed. It remained in dirty and around 80 degrees the whole week. Hopefully this was just a hiccup and they will return to previous operating standards. Not sure if I will stay here next year. Not sure if it's worth taking a chance. "outdated, noisy dump - do not stay here"
I am baffled as to why this hotel gets good reviews. The moment I walked up to the front door I knew I had made a mistake. It looks nothing like the pictures on the website. It is outdated and DEPRESSING. Maybe in the 80's it was the place to go, but not now. Perhaps it is the drunken college kids that like this place and give it good reviews? Every inch of this hotel is dirty and in disrepair. The chair in the room had stains all over it, the brown rug surely hid more stains (I kept my socks on). There was a HOLE in the closet door. The toilet bowl was dirty, and the lampshades had stains all over them. The front desk manager was good. He moved me to a new room immediately because some person in the room across from me, with a voice like Hulk Hogan, decided he needed to drop Fbombs at the top of his lungs over and over again. The manager did not even bother to knock on their door. He looked defeated and tired. I imagine this happens often, so why fight it? I feel bad for the employees who seem to be trying but Best Western has failed them. The highlight of my evening was when I went to the bar to pick up my to go dinner order (I wanted to stay in my room away from the horror show of the rest of the hotel), and he told me my order was delayed because (and I quote) "the cook had to go to the bathroom and some other stuff". OMG!! I lost my appetite immediately. I never would have stayed here but for the good reviews. My takeaway: If you don't mind a dirty, loud outdated hotel filled with drunk college kids, this is the hotel for you. If you want a nice, quiet, clean place to stay for your ski trip, STAY AWAY. My husband and I stayed at this hotel because it is a two minute drive to the Killington ski hill. The room was very spacious, and the bed was comfortable. We stayed on the third floor, which had high vaulted ceilings; sounds nice, but it made the room very cold. We had to ask for a portable heater; which staff was happy to provide. Breakfast is a hot buffet, but the food was just lukewarm; good hot coffee and waffle maker. It is a clean hotel, but it needs to be refurbished. The bathtub was quite stained due to a constantly dripping faucet. The carpets in communal areas are tired. I would still recommend this Best Western, as it is right on the mountain road amid many bars and restaurants. This was a very large facility with a big outdoor hot tub. This is very cool to be able to be out in sub freezing temperatures and sit in 90 plus degree water!!! Breakfast was excellent with many choices, even avocado! Two large fireplaces to lounge by, nightly movies, and a pool table. Hotel is little worn/beat up, but was very clean and comfortable and extremely close to slopes with a shuttle service.. Excellent value!! Great breakfast with lots of choices; friendly staff; the common area is huge and a great place to hang out with upstairs and downstairs fireplaces to lounge by. Pool table a little worn, but lots of kids have enjoyed it I'm sure. Our room was spacious and clean. Bathroom tub could use replacing. Queen beds seemed more like full beds to me. Did not use the hot tub. Planned a birthday trip for one of our girls and it was such a great few days. We arrived after a long drive and were wonderfully welcomed. We had a couple of issues with the heat and the front desk took care of it immediately. You are sooo close to the mountain and there's a free shuttle, it's great. Breakfast is included, too! Killington Mountain Lodge, we love you! Special thanks to Ed and Paul for a perfect getaway. "Average rooms, nice amenities and common space"
The rooms are very average. Our group loved the hot tub and gaming lobby. Breakfast was good with a nice variety. 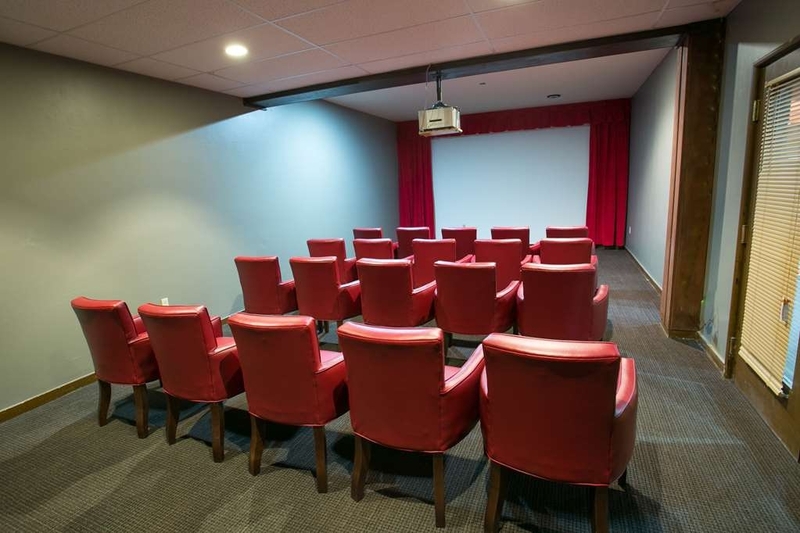 The movie room was fun and offered a nice selection of movies. 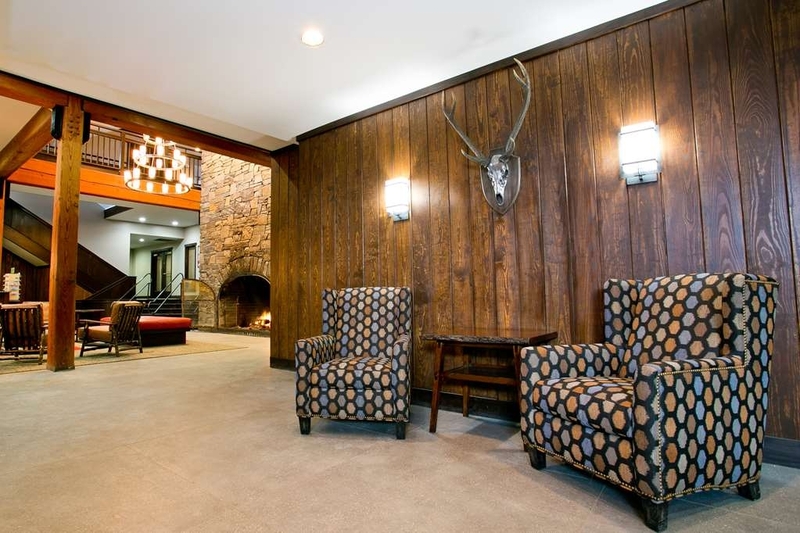 The lobby full of games, fireplace, and apres-ski snacks is the highlight. Great place for families on vacation, not looking to hang out in the room. "Will definitely be our first choice everytime we come back!" This is our second year coming and we would definitely recommend. Jessica at the front desk was a pleasure and helped us with all our needs. Briana has become a friendly face we look forward to seeing now 2 years in a row. They have a great hot tub, game area, movie nights and breakfast bar. We will be keeping this place as a tradition. I shopped around and after many options picked this hotel. It was a great pic for our family. Skiing, restaurants, hot tub, fresh coffee all day and handing out favors and champagne at midnight won us over. There are fireplaces and board games along with a movie room that was nice. The only suggestion we have is to allow for more towels for the hot tub when the hotel is so busy and maybe pub food available later than 8:30pm. Let's say that the these people are not the friendliest . The men that work at the front desk need customer service training and need an attitude adjustment. The breakfast are dirty!!! The breakfast food was ok not much of a choice. The room I had was big and comfy. But my room was never cleaned and it took like 25 min to get a roll of toilet paper. I know is a family hotel but the kids next to me were out of control, running in the hallway and knocking on the doors very annoying!! The location was great not too far from the slope areas. Good ski hotel to bring a family and lots of kids. Very close to the mountain and convenient to the nearby restaurants. We booked an impromptu 3 day trip thru orbitz and it rained very hard on our last day so we decided to leave early. Management was very understanding and allowed us to cancel our last night. Very much appreciated! Almost everything in this place is in need of repair. Broken elevator, all ice machines not working. Hot tub contained beer cans, a glass, cigarette butts and a bunch of debris (absolutely disgusting) on a Saturday afternoon. All surfaces in room were beat down (including weird things like the bathroom mirror frame and sink shelving). Most switches in bathroom were broken, hair dryer did not work. At $200+ a night this is unacceptable. On a positive note: The breakfast was good and the breakfast staff were very friendly. "Filthy and third-rate, needs a complete renovation"
We stayed at this hotel in December 2018. The location is solid. Everything else about it was terrible. It was about half the price of the main Killington base hotel, but not cheap - our room was about $230 a night after-tax. The room was tiny and dingy. The bathroom was no-name motel quality. The common areas were worse, filthy carpets, beaten-up walls, slow elevators, and a mysterious smell. The hot tub was barely warm enough to dip a foot in and had mysterious brown stuff on its floor. The breakfast was cheap eggs, cheap bagels, cheap coffee. And btw you can't even find it from the access road if you are looking for a Best Western sign - there isn't one. Ski hotels get heavy use so I understand they aren't going to be in the best shape but this place needs to be shut down for three months and completely renovated. some staff were very very rude. They were rude to my family, and they did not satisfy us. The hotel was nice, but the staff were terrible throughout our experience. I can't say all bad things about the hotel itself, but the staff were bleh. One thing that really stood out to me was how helpful the staff was upon arrival until we left. Max at the front desk happily filled us in on questions regarding shuttle services and amenities such as breakfast hours, pool/hot tub access, and was super friendly. He even dealt with unpleasant customers in a very professional manner. This place was perfect for a getaway with a great common room/lodge lobby and was clean as well. Definitely coming back! 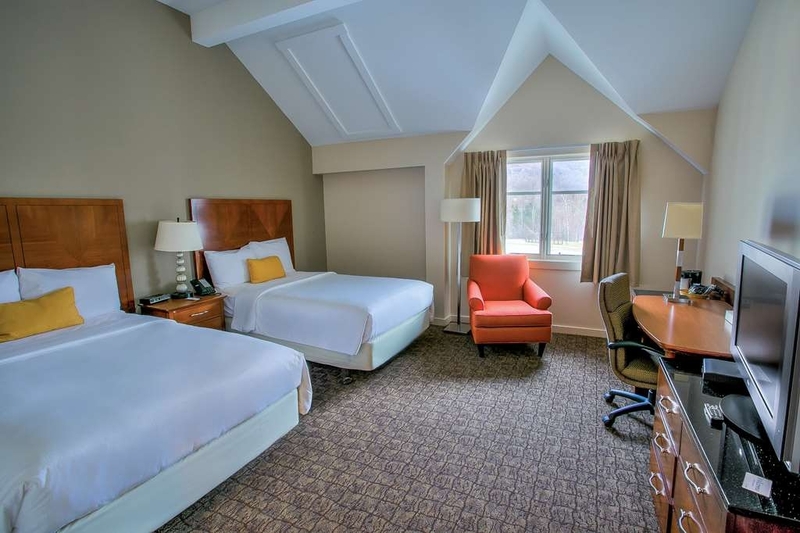 Hi ckw13, thank you so much for making us your home-away-from-home during your stay at Killington Mountain and for taking the time to leave us a really nice review. We are excited to let Max and our staff know they made a great impression on your stay and that you found plenty of great amenities at our hotel. We can't wait to see you back for another visit! 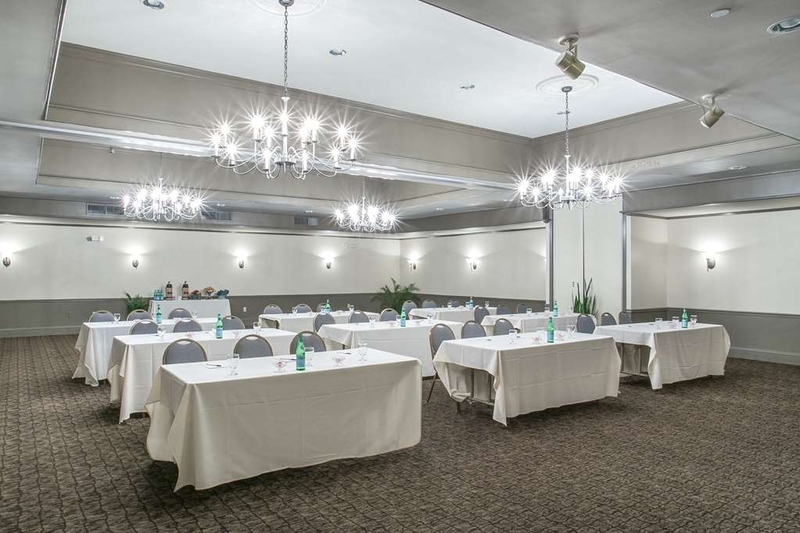 -Bradley D.
"Very warm and welcome hotel in a very beautiful location!" Our original rental house had a power outage in upper Killington. We found this hotel by chance, and they had full functioning electricity. We had a group of 8, and we were very surprised to hear that they could connect multiple rooms for us to let us all be in 1 room! The rooms were clean, and breakfast was included. The hotel staff were very friendly and accommodated our requests such as late check out, having pets, and such. Hi jzheng2, thank you for you choosing to stay with us during the outage, and we are thrilled we were able to accommodate your entire group. We hope everything worked out with the rental, but we hope you'll be back to visit us again soon! 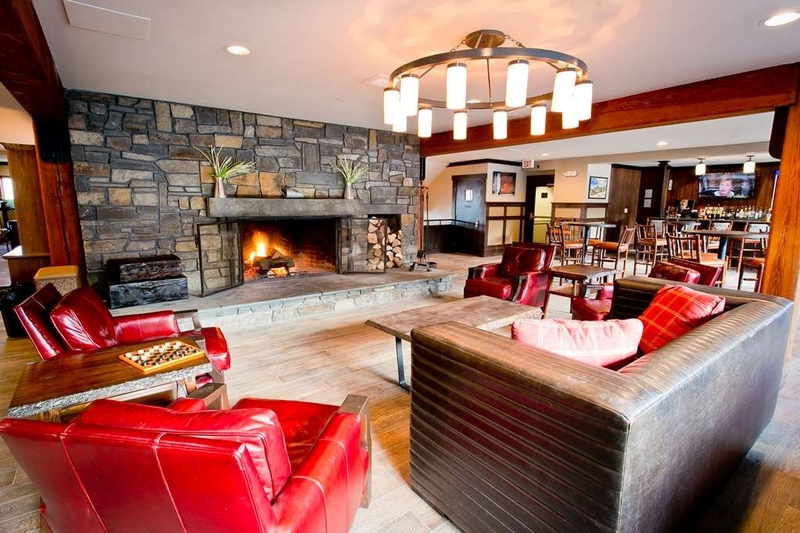 -Bradley D.
"Best place to stay in Killington!" Wow!! This place is beautiful and has everything you are looking for in a ski getaway. Two gorgeous fireplaces, a huge hot tub with two more fireplaces next to the hot tub, free brecky, game room, and bar! All the staff are extremely helpful and kind and let us stay in the lodge until the snow storm cleared out and the roads were safe to drive. Will be the only place I stay at Killington when I visit! Hi sachemyeti, thank you so much for staying with us and for taking the time to leave this really nice rating and review. 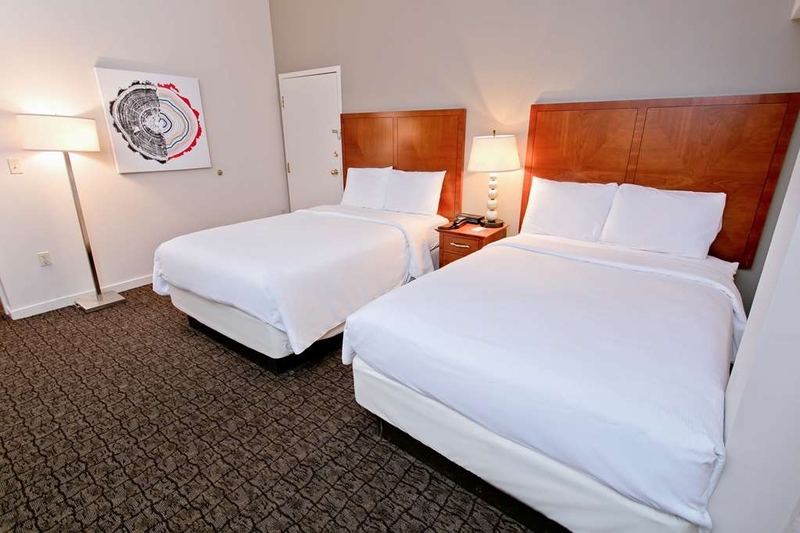 We are thrilled you had a great stay and that we were able to exceed your expectations. Thank you for the really nice words, and we look forward to seeing you back again soon! -Bradley D.
Stayed for an early season weekend. Hotel price is similar to Rutland, and it seems to be acquired by Best Western this year so I was like, just give it a try. So close to killington K1 lodge, driving is like 2 minutes. 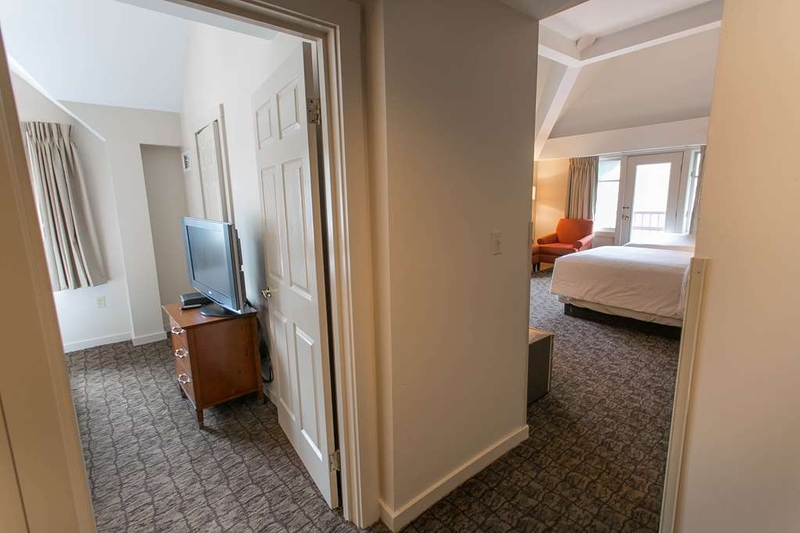 Unless you stay at Killington grand resort, there is no place closer than this property. Out door hot tub and fire places are great. There is a wired shape indoor pool but it was closed until late Nov. Gym with 2 treadmill and 1 bike was a joke - pretend there is no gym. Nice lobby - two large fire places to sit around, pool to play, plenty of couches, and a bar with some mediocre food (but good for the price! the steakhouse next door charges $40 + tax& tips for one piece of steak). We had some wings, a large salad and a large sandwich for like $40 including tax and tips. Breakfast is the same good quality to the Holiday inn at Rutland. Room is dated. Yes, the website picture looks great. We booked a balcony room but the screen door hinge was broken so it can't be closed. The phone inside the room can't be used for any call. Hello puzhoutufts, thank you so much for choosing to stay with us and for leaving us some great feedback. 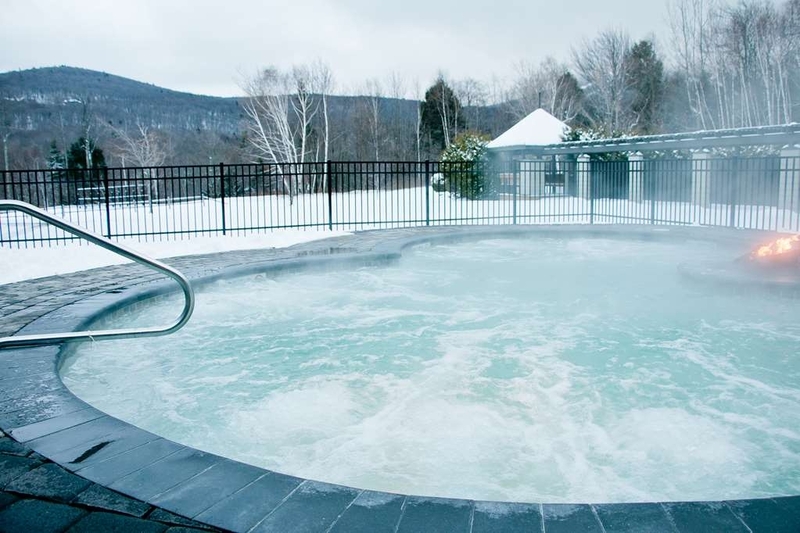 We are thrilled you enjoyed so many aspect of your stay including the hot tubs, fireplaces and meals. We take all of our guests' candid comments to heart so we can always provide exceptional service, so we appreciate your valuable feedback about the gym and room. We hope you'll be back to stay with us again soon. -Bradley D.
Room was big and clean bar was great as were the hotub and fire pits. Breakfast wa good. Good hotel for the price. Location was close to everything. Good view of the ski slopes. We had a good time here. Hello William, thank you for staying with us and for taking the time to leave us a review. We are delighted you enjoyed the room, hot tub and time by the fire. We look forward to seeing you back again for those beautiful views for a great price. Don't hesitate to give us a ring before your next visit so we can figure out how to make it a 5-star experience. -Bradley D.
The hallway floors need to be vacuumed and the rooms need serious updating. Felt like a rundown super 8. Plus no restaurant and bar food was pitiful. Breakfast was ok but that was the only bright spot in our stay here. Hello Wayne, thank you for leaving us some feedback about your stay. 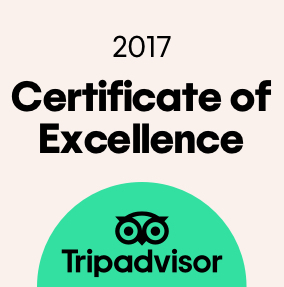 We truly appreciate your patronage, and we take all of our guests' comments to heart so we can always strive to provide exceptional service. We apologize about the cleanliness of the hallways and lack of food and beverage choices. We hope you were able to get a chance to explore some great Vermont spots around the hotel during your stay. We would definitely love to hear more about your stay and discuss what might be able to do to invite you back for a 5-star experience. Please feel free to give us a call to discuss these are any other concerns you may have. We hope to hear from you soon. -Bradley D.
"There aren't any USB ports!!!!" Come on! This is 2018 and practically every person has 2 or 3 devices. No USB ports in guest rooms pretty much screams “the place is outdated.” The entire hotel looks tired although my room was clean, including carpet. I realize this is not high season but there are plenty of leaf peepers around. The hotel restaurant was not open for lunch or dinner, which wasn't mentioned at checkin. Would have been nice to provide good customer service with list of other eating options in the area. Hi ranger937, thank you for taking the time to leave us some feedback. We appreciate your patronage and your candid comments, as they always help us strive to provide excellent service. We're sorry the room did not offer specific USB ports to plug in your devices into the outlets. We also apologize about not receiving the utmost in customer service. Please feel free to give us a call directly before your next visit so we can perhaps discuss these items and welcome you back for a 5-star experience. -Bradley D.
The smells in the whole hotel is worse than ugly grandma's home. We got an double queen room. The floors were not clean at all esp. in the bathroom. Bathroom mirror dirty sprinkled (who won't recognize this). During breakfast it was hardly possible to get coffee. Also not on demand. Apart from the fact mostly the whole buffet was empty. Too bad that not even the staff was friendly. "Great Visit!! Will be back!" I took a random road trip from CT and ended up in Killington, VT. 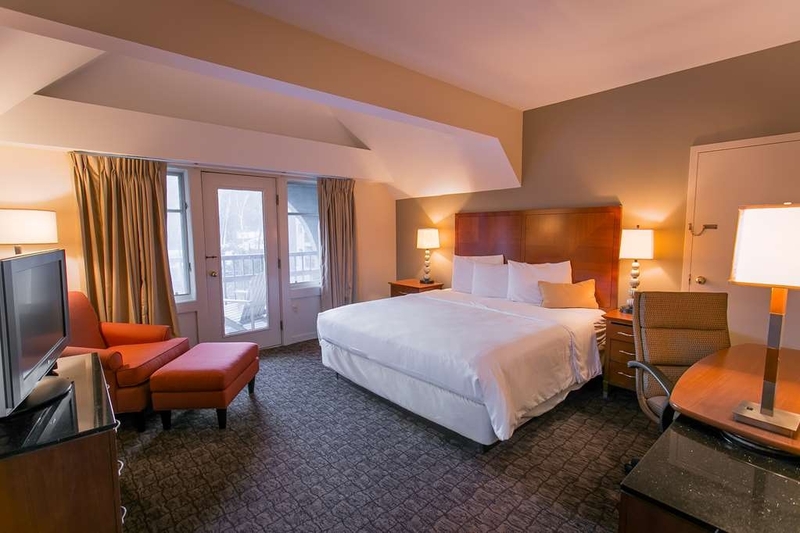 I headed over to Killington Mountain Lodge last minute, and even though they had a full house they still managed to make accommodations for me! The Staff was helpful, nice and outgoing. The rooms were clean and everything functioned how it should. The price for staying was perfect, there also is free breakfast and WiFI, which was very nice. 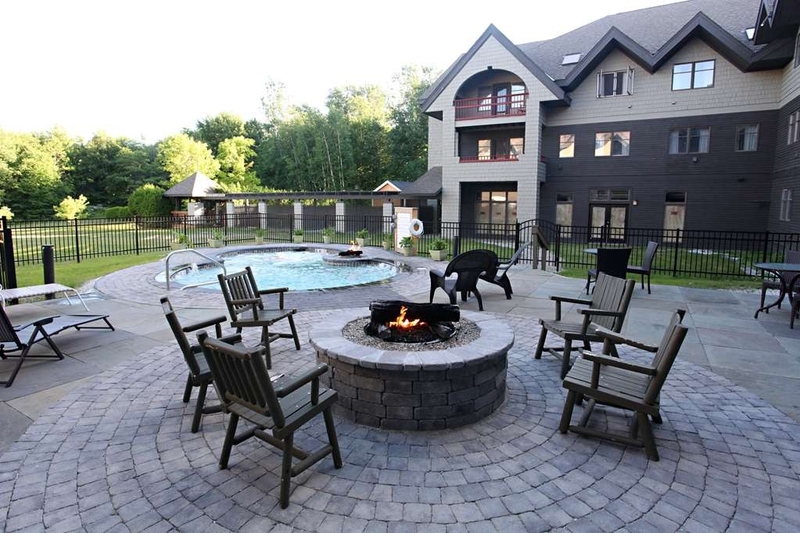 Now, my FAVORITE part of staying here was where the hot tub is located, because of the amazing fire pit right next to it. It was so nice to sit out on a cooler night, with a drink from the bar around fire. Inside there was a wonderful women singing with her guitar, everything was just simply sweet. This hotel is on my list to go back to again. 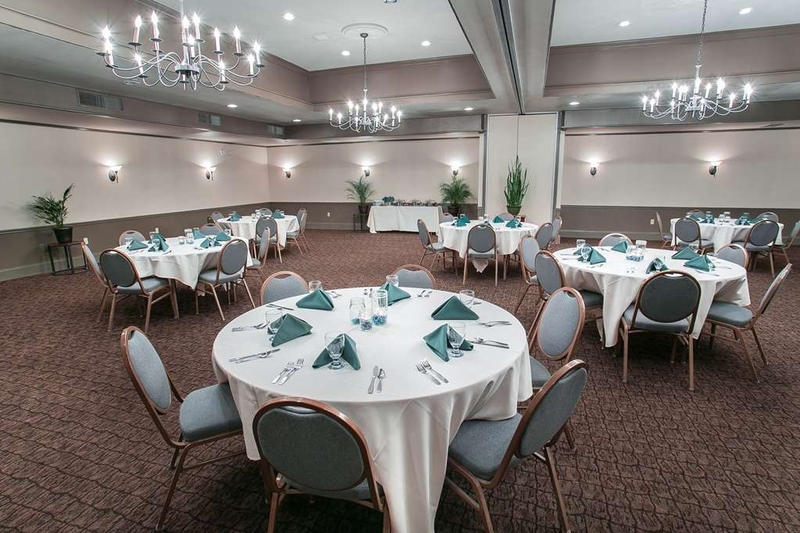 It was simply an easy check-in, great amenities of the hotel, and everyone was pleasant. This stay allowed me to refuel and rest up to continue my road trip! It was fabulous! Hello Andrea D, thank you so much for this really nice review! We don't even know where to begin! We are delighted we were able to accomodate a rolling stone like yourself. We look forward to letting our staff know they made a great impression during your stay. We're glad you enjoyed the room and the hot tub. Lots of guests also feel this complements their trip to beautiful VT. Hurry and get some rest so we can see you again soon! Please feel free to contact us directly if you have any questions before your next stay. -Bradley D.
Stayed here for the entire month of August with the new life program IT WAS AWESOME!!!!!! I cannot thank the staff enough, from the managers to the front desk to the breakfast staff. It felt like I was part of the family. The food at breakfast was amazing and the hotel is a bit outdated but the employees make the difference. I had a nice clean spacious room and at check out I asked for help with bags, one of the managers even helped me pack my stuff in the car he was a superb guy. THANK YOU SO MUCH I WILL BE BACK NEXT SUMMER. Hello lopez m, thank you so much for taking the time to leave us this really nice review. Firstly, we really appreciate your loyalty for making us your temporary home-away-from-home. We are over the moon with your incredible compliment of our team members. We look forward to sharing this with all of them. We are excited to see you back with us next year if not sooner! -Bradley D.
First let me say that we travel often. A lot. Many different hotels all over the US. This time, we're planning a one-night getaway for our family and called the hotel with a few questions before booking online. The person taking my call was pleasant, yet confused about availability and warned me that my online booking may not secure a room. So I asked what the protocol for a situation like this might be. Refund? Advanced notice before arriving that my online reservation wasn't guaranteeing our room? She said maybe they "hope someone else will cancel". I had a hunch that her assumption wasn't actually correct. So I went ahead and clicked "book" online while she went to ask her manager. The manager that got on the phone with me seemed less than thrilled to take the call and defensive of the confused employee that nearly scared us away from booking. Not a great first impression. He did confirm that my (now booked) online reservation was showing up on their end. Phew. I then asked a few more questions about the space: extra bedding, roll-out bed...standard things. He was curt, condescending, bothered, and even sarcastic. The photos and grounds appealed to us and we are still excited to get away, but what an uncomfortable first impression. We can't cancel without penalty via the booking site, so we will make the best of it and hope the space will make up for the unfriendly staff we've encountered before we've even arrived. Hello jessicablaze978, thank you so much for staying with us and for taking some time to leave this nice review! We are excited to let Max, Jess and the rest of the staff know they were rockstars! ????? ?We can't wait to see you back again soon for some more delicious breakfast and a dip in the hot tub! We really enjoyed our stay at Killington Mountain Lodge. The room we had was on a corner of the building, with two balconies, each facing a different direction looking at the mountains, and each had a table and chairs. In this room, the A/C was built into the wall, and worked very well (it was hot outside). The room was clean, the shower worked well, and the bed was comfortable. 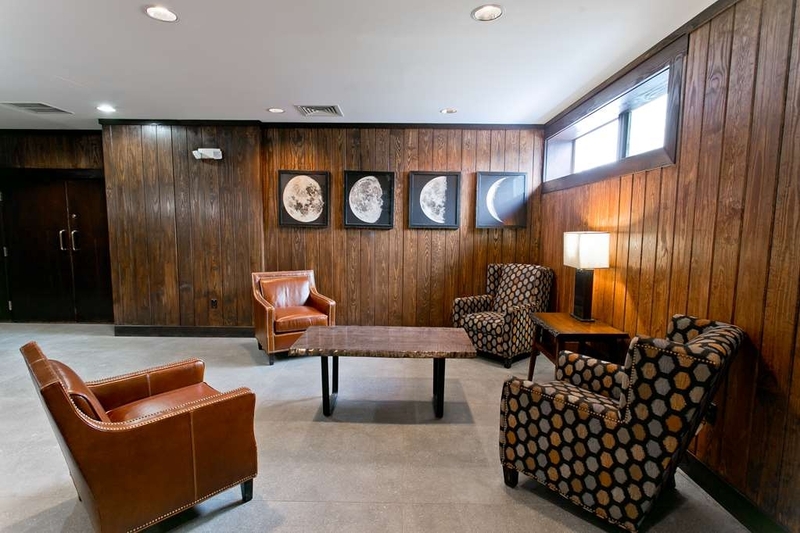 There's different areas around the lodge to hang out and sit and read or have a drink. The breakfast was free, but was a bit iffy (good coffee and eggs, but sausages and danishes were super sketchy). The staff is friendly, and overall the place is nice but not fancy, and a bit different from normal chain hotels, which is just what we wanted. We'd definitely go back. Hi Forester27, thank you for choosing us for taking the time to leave us this feedback. 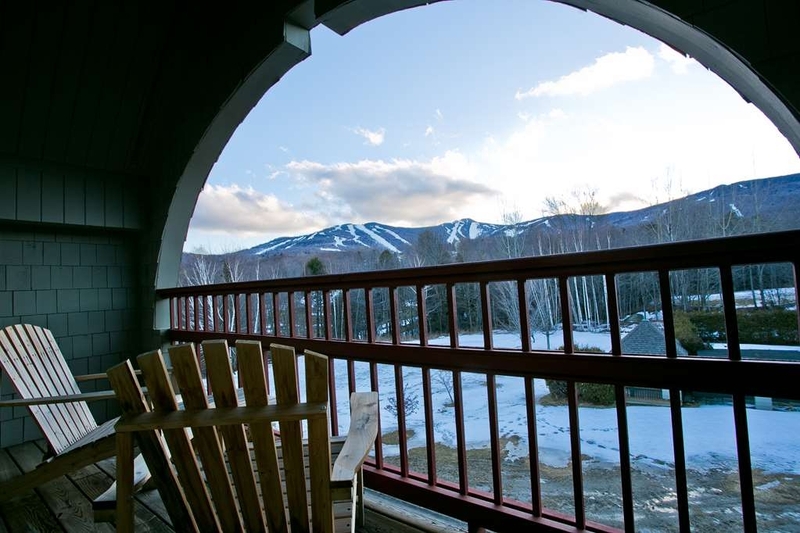 We are delighted you enjoyed your balcony room with the beautiful sights of Killington. We're sorry that your breakfast wasn't completely satisfactory, and we hope you were able to find something to get your day started. 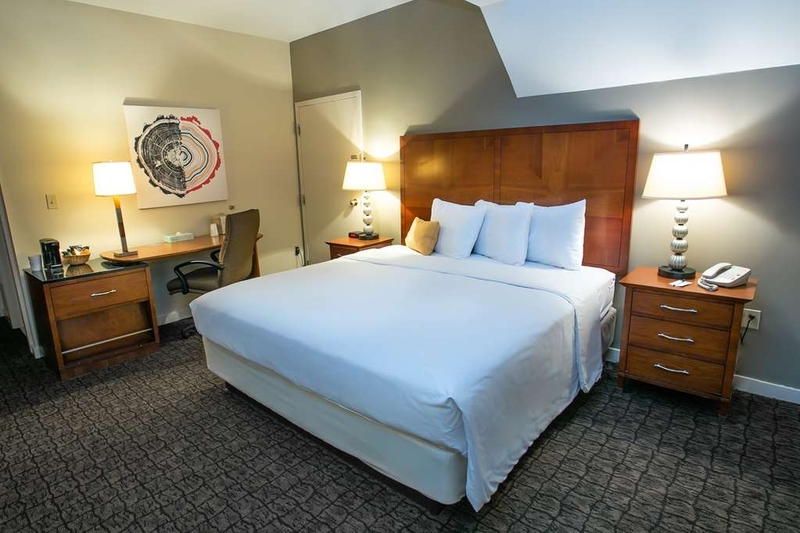 We are excited to let our staff know they made your stay that much better. We look forward to welcoming you back again soon. booked for one night because it was a decent price and with breakfast included. Got there late from Ct and checked in. Hotel looked beat up and dirty. The shower was sad. NO pressure at all. In the am , woke up to take a shower and there was no hot water. The breakfast was a joke , cold eggs, cold sausage and the place was a mess with plates pilled up on every table . I gave a 2 rating just because the room was clean. will never go back to this place. "Beautiful Hotel lodge in the mountains"
This is a great hotel! You'll see some good and not-so-good reviews here. I looked here too before booking and I'm glad we did. Beautiful lodge in the Green Mountains. Needs a little work which is happening now. Very spacious rooms, pool with a huge hot tub. Bang for the buck factor is outstanding!! We'll be back to this mountain gem soon!! Had such a great time staying here with friends for a weekend in July. Great price and great people. Everyone at the hotel was very accommodating especially the bartender who recommended local hiking spots and places to eat. Definitely will be coming back again! Very run down. Dirty. Filthy beverage dispensers. The orange slices in the dirty water dispenser looked like they were sitting there since the 4th of July. No coffee, hot water for tea was cold. No hot water in bathroom. Could not turn a/c off so had to unplug. Entire place needs a good scrubbing. Even the elevator had garbage in the floor . Don't get me started on the awful breakfast. Should have taken pictures. Check room 313 for bed bugs!!! I think they came home with me. This hotel is totally outdated and needs a total overhaul. The hotel has a complete musty smell. The carpets needed to be replaced years ago and don't even think about walking barefoot. The bathroom never looked like it was fully cleaned. I felt like I was never clean even after a shower. Had I not been a part of the hiking spa I would've changed hotels in a heartbeat. The AC and refrigerator in my room were years old and the AC wouldn't turn on or off, I just had to constantly set the temperature to run it. On a positive note, the staff were friendly. The lobby area was comfortable. The floor with the bar area and the outdoor hot tub were updated and that's where I spent most of my time. However, NEVER EVER EVER EVER stay here. 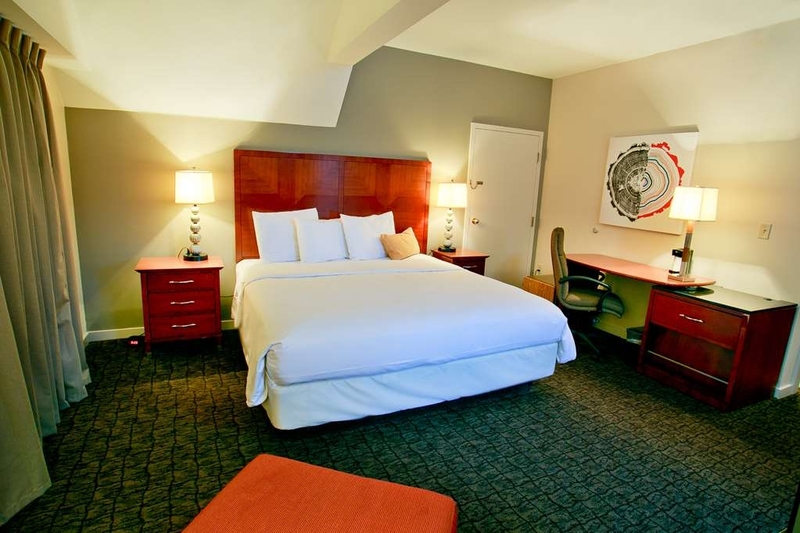 There are probably many more hotels that are similar in price and much cleaner and updated. Like I said, I only stayed here out of default for being part of the hiking spa. "Stay away from here! Worst hotel ever"
I enjoyed this vacation. Special acknowledgement to Halle who kept the room clean, and was very friendly, making sure she introduced herself and learning everyone's name. Never have I experienced what she did at any other place. "Helpful Staff but Rooms Need Some TLC"
First this property is now owned by Best Western. From my initial observation, having stayed a few years back the property has not seen much in the way of renovations. Our first room was ok but needed work. They have no centralized HVAC so there was a mobile cooler in the middle of the room with a makeshift hole in the wall for exhaust. Our AC died at midnight with all attempts failed to revive it. The toilet was partially clogged and took a few flushes. We were provide a "new" room for our second night that was better with a very small undersized window AC that could barely keep the room cool. The bathroom had some obvious water damage and needed reputation but for the price it was fine. Staff was professional and friendly except for one older gentleman who basically did not want to be there or deal with people. They are renovating the indoor pool which should be very nice when finished and the outdoor hot tub was nice but closed at 10PM which was disappointing. Breakfast was adequate and something I typically see when on business travel . We actually skipped it because of my food allergies and went to for a better breakfast down the street. In summary, this property has great potential but it's a little run down and the rooms need TLC but for the price compared to the Grand Lodge might be worth the stay. 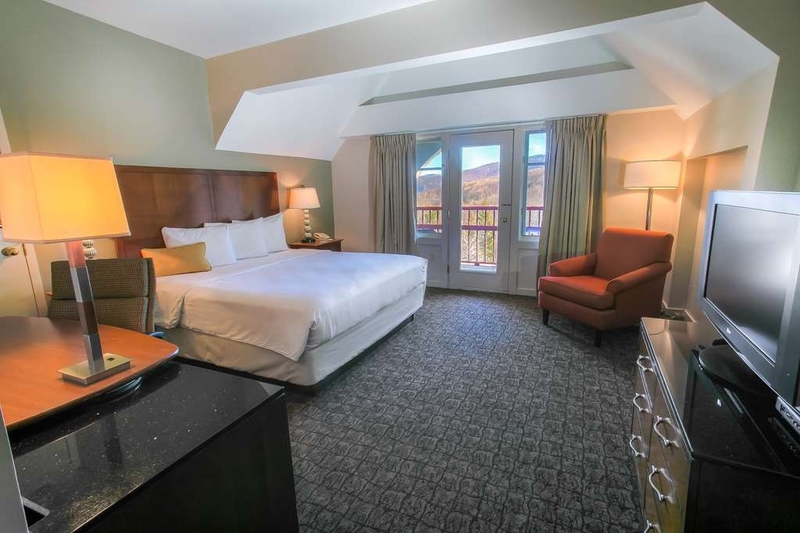 We had a lovely stay at the Killington Mountain Lodge Hotel with a comfy bed and a balcony with a beautiful view! The outdoor hot tub with fire pits were so nice. Staff were also super helpful. I would love to stay again! 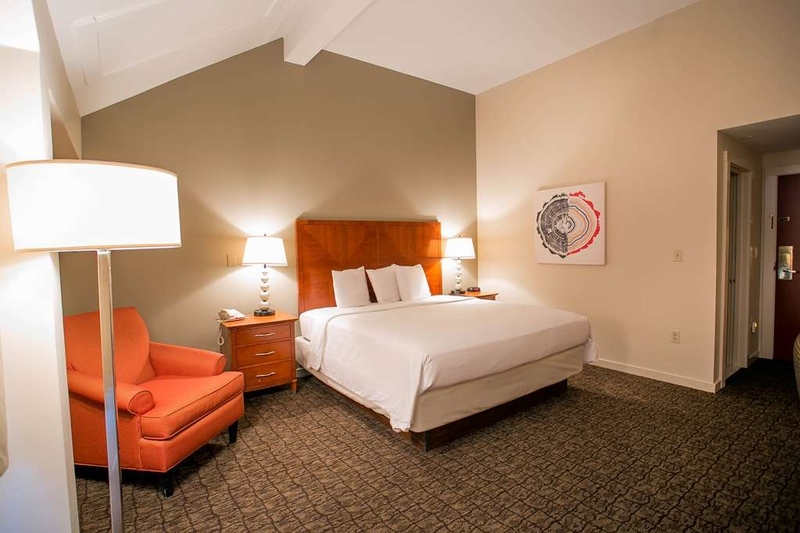 "GREAT STAFF, always accommodating to guest"
Found a great rate on the Best Western Site. The hotel was beautiful. The rooms were large and balconies had amazing views. Pool table and games were a great thing to do. The hot tub was great, but pool was closed. Would stay here again. 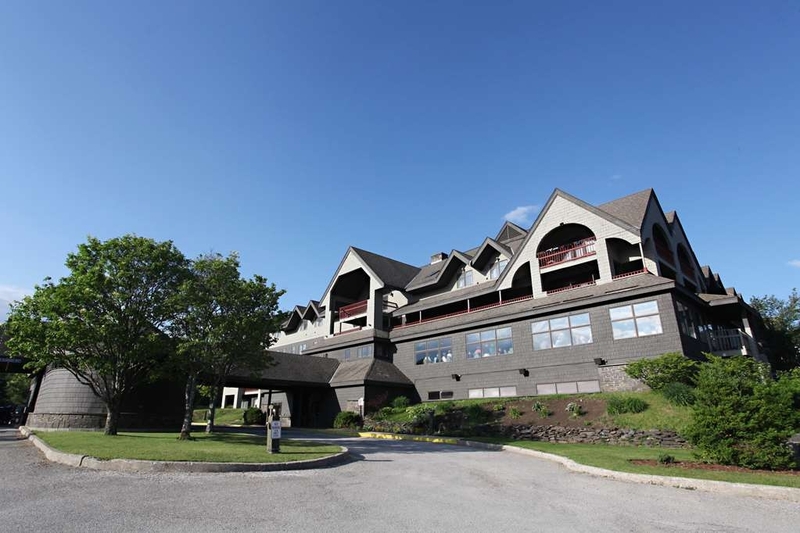 "Great Place for the 7th Annual Killington Cup Golf Trip!" First, let me say that the Killington Mountain Lodge is great. It's a simple, clean and inexpensive hotel. No bells and whistles. The staff is fantastic and treats my group (24 guys) absolutely awesome. They have been doing this for the past 7 years. You can't beat the golf package price (2 nights and 3 rounds - Killington Golf Club and Green Mountain National). We spend most of our time golfing but in the evening we are hanging at the hot tub and enjoying the back area for lawn games. They are located across the street from Moguls Sports pub which is a great time. I would recommend for anyone to stay here. Thanks again Ed! (I am going to focus primarily on the hotel as I will do a separate review for New Life). I just returned from a 4 day mini retreat which was housed at this lodge. I was super excited about the spa until reading all of the reviews on TripAdvisor - I even considered cancelling my reservation. I packed an extra bag w/my pillow, comforter and sheets, just in case. Pulling into the lodge, I was pleasantly surprised at the beautiful exterior covered in flowers. When I walked in, I did have to wait a few minutes for someone to arrive at the front desk, but no one was rude or anything less than accommodating - the staff seems to be working overtime cleaning and making repairs. The lobby was also pretty with a huge fireplace and beautiful chandelier. My room was nice and my bed was awesome, including the pillows, linens and down comforter. (Thus, no need for my own stuff!). As people have mentioned, there is no central A/C, there are window units and mine worked just fine. I could also open my window. Would I rather have central air? Sure! But just know you got a window unit and you'll live. My room was clean upon arrival and cleaned every day. There is a hot tub outside, not a pool as some have suggested and it worked although you had to be out by 10 - which is actually nice for the guests. Some of the units face the courtyard and no one wants to hear people in a hot tub while trying to sleep. The indoor pool was under construction but looked fine. I cannot comment on the food as I was part of the hiking spa - which was amazing! If you are looking for a luxury 5 star hotel, drive a little further to Woodstock and spend $500 night. 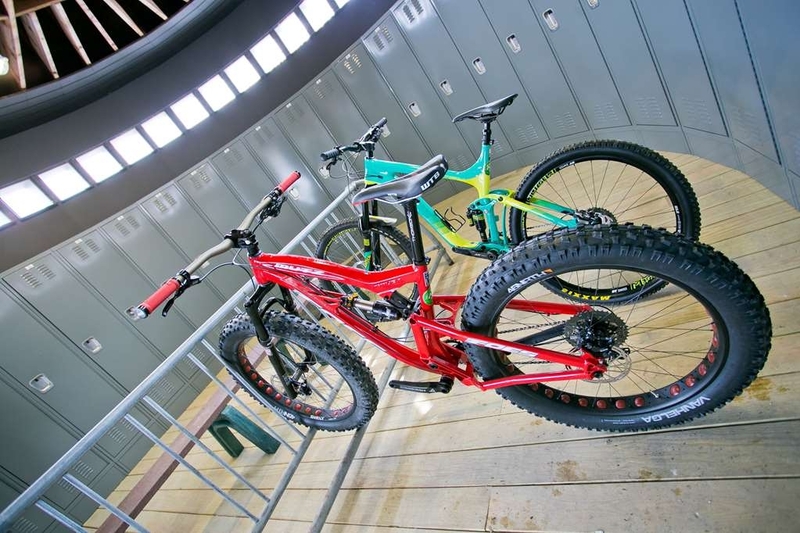 If you want the real thing in Killington, I wouldn't hesitate to check this place out! My one and only complaint - they had super cool t-shirts, but no mediums and I didn't lose enough weight in 4 days at the spa (and too many hikes to the cute little bakery) to fit into a small. "The staff is the only reason this location deserves any stars"
I went to Killington VT in hopes of Hiking and Relaxation. The existing reviews made this location a great option. However, the location was dirty, dark, multiple water /pipe leaks throughout the location, the pool has been closed for years so I would not expect it to be open anytime soon. However, you could tell that the staff were doing all they could, with everything within their means, to take care of the guests and try to meet expectations. I would say the Best Western needs to invest money in the asset to improve basics so that the staff can focus on the guests fully. (windows that open, screens, replace old/mildewy carpet, plumbing issues, etc.) I also think that staff training would be beneficial to get the place up to a "signature collection" standard. There is no lack of will, only lack of support from ownership it seemed. I believe the BW ownership is relatively new? I hope that over the next year they are able to make the facility match the advertisement and energy of the staff. Although the hotel is in dire need of updating, the staff is beyond great. This is out 7th year doing the golf and stay package and the staff has exceeded expectations everytime. Hats off to James, Kim and Ed for making our stay hassle free. "I wanted to love New Life Hiking Spa again"
We've been to New Life (NL) many times, but not at this "renovated" location. We stopped coming in the past and were anticipating some much needed updating. It's the 40th anniversary, and unfortunately, hasn't changed enough. As always, the staff make this place. I can't say enough about how hard they try and their dedication to the guest's happiness. The hikes, the only reason to go to NL, are wonderful, and better this year with finally some new options. But, they end at lunchtime, except on Tuesdays, and the rest of the day and evening are pretty empty. The owner, Jimmy, has not listened to the input ( for many many years) from staff and guests to add extra hikes or walks or outdoor activities in the afternoon. There are basic beginner fitness classes in the afternoon, but in a musty dark interior room. The massages are excellent and included once every 3 nights. The food... if you want to eat clean and lose weight, ok, you're happy to be hungry all the time. If you came to hike, you'll need to supplement your allotted food regularly and will be hungry after lunch and dinner every day. The rooms are not what you expect. Dirty, rusty, disgusting shower and then non functional windows with fairly new furniture. We had someone else's blood on the bathroom floor for 4 days. Thank goodness it wasn't too hot. We didn't try to change rooms since others sounded worse. NL used to be an inexpensive option for a fitness vacation. Now, there's too much competition around to have to deal with the issues at NL. I gave it 3 stars, but it's between 2 and 3. "First review was flagged and deleted, not sure why." This hotel is such a mixed bag, it's honestly not worth visiting in the end though. The first thing we were greeted with was a dirt parking lot, and a disheveled pad at the front entrance. No big deal, I'm actually okay with this. It wouldn't be an issue if the rest of the hotel didn't set such low marks. As we entered, we walked up to reception and set our gear down. We waited for quite a while as there was no bell to ring and no employees in sight. Finally my friend decided to call the front desk and see if a ringing phone would get attention. It worked! Upon the employee coming up to the counter, he had nothing but attitude for the fact that we called and was completely annoyed that we interrupted him "servicing an issue". We apologized, and played a back and forth game of this employees attempts at "dead pan humor" and annoyingly blatant passive aggressive behavior. Finally, we got checked in and proceeded to our room. When you exit the elevator, the first thing you'll notice is a musty smell and heat and humidity in the hallways. It appears they may not have much in the way of climate control there, but it is just a hallway. First, the carpets were beat up and didn't show much sign of care. Second, the window was stuck open and broken at the crank, our room was easily 80 degrees and the portable A/C was not adequate to cool the room properly. We decided it wasn't worth the fight with the guy at the front desk and took our showers. The bathroom was horrifying. With stained tub, dirty curtains, hair on the tub and lots and lots of dust in the fan - it was bad. But we did our thing and showered, while we debated how to handle the guy at the front desk (who we didn't think would be fair upon confrontation). Then the A/C died out and was asking us to dump it, when I walked over to it, the floor was soaking wet (if you know carpets, this means future or current mold). Thankfully I brought spare socks on the trip, since that pair was now soaking wet. At this point, we went down and found a new person at the front counter. We expressed our issues and he immediately changed our room, he was friendly and courteous. When we came back from dinner, we ran into the first employee and he was now magically really nice (in front of his co-worker? ), he asked us to park our bikes by the front door so they didn't fall over and he was happy to help us find a good spot. When we came back in, we asked about the pool and found out it was closed (huge disappointment), so we opted for the Hot Tub. Well the hot tub was nice, but it was low on water, so it wasn't circulating the water well and it was blowing the water all over (it stayed this way the next 2 days). So we went back to our new room, and the tub was still covered in rust stains with a gross mat and the shower curtain was still gross, but the room was survivable at least. The safe was broken, but we sort of expected it at this point..... we went downstairs and got some beverages, the front desk clerk comped them to make up for the room issue (again, this guy was great) and we went to bed. The mattresses are comfortable but the pillows are junk. Upon waking up, we went down for the breakfast. Well that really sealed the deal.... the food was disgusting. Rock hard sausages, rubbery eggs, dirty cereal dispensers and not much selection. Even the bagels had no option to toast. We opted to make our own waffles (which were good), but after our experience at the previous hotel in Burlington - this breakfast was just awful. 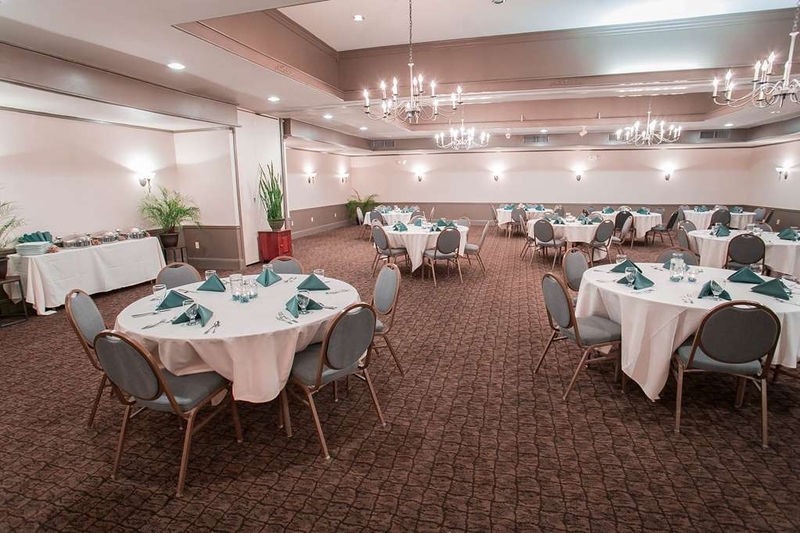 The dining room, the buffet tables, everything was just awful. The next day, we went out and rode and explored, the area is great. But this night, when we came back to a third desk clerk, they advised hot tub was closed. He said they close it, because people complain about noise when it's open at night. We slept that night and checked out as soon as humanly possible. My assumption is that they cater to winter guests well and just throw in the towel in the off season. Maybe I'm wrong and it's this way year round. Do yourself a favor and skip this one, the price is great, but the hotel is in horrible shape and it won't be a relaxing place to rest your head. I stayed at KML for the New Life Hiking program. The staff at the lodge went above and beyond all expectations to assist with any needs to make my stay more pleasant, even more than the most exclusive hotels. Jessica in particular is a gem. My room was clean and spacious. It was quiet and the bed comfortable. It had a coffee maker and mini fridge. I have no regrets about my stay and it is a good choice for you if you remember it is a ski lodge in the off season, not the Waldorf Astoria. They were working on pool and other renovations. I did not find this to detract from my stay. A nice place with great staff. Walking distance to shops and restaurants. Comfortable place for families and price very reasonable. Recently stayed here in July 2018 as part of hiking spa. This place leaves much to be desired. Our room featured broken furniture and a portable noisy air conditioner connected to the wall with a large plastic hose. Management was very accommodating when we asked for a fan because we couldn't bear the noise, but the fan we received was filthy. Other rooms had windows that would not open. The ceiling in one of the dining areas on the first floor had large holes covered up with tape, and the ceiling in an exercise room on the ground floor leaked. There were torn screens throughout the lodge, exposed wires outside. Several of the outside lights connected to a power source via very long extension cords. A general use balcony on the third floor was filthy. Both an outside and indoor pool are still under construction - unclear when either will be finished. The hiking program, food and staff are exceptional, but this lodge had better get its act together. We recently returned from a four night stay in this hotel as part of the New Life Hiking Spa. 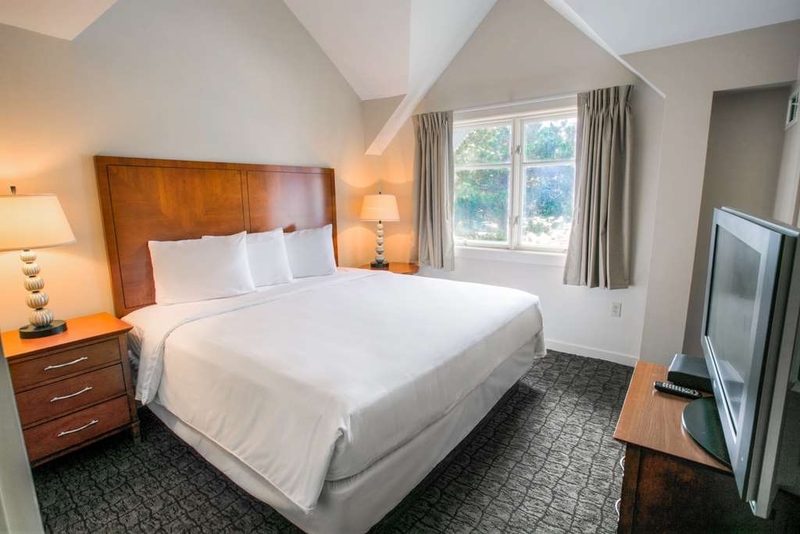 While we had been told the hiking spa was returning to its roots at the recently renovated Killington Mountain Lodge, the hotel seemed far from renovated, with rooms well below what we consider acceptable standards. When we entered our initial room, 303, our sink faucet knob came right off. We called the front desk for assistance and a gentleman immediately came to our room to help. He turned on the bathroom light switch, and sparks started to fly out of the fixture. This did not appear to be a simple case of a blown out bulb, at least not like we've ever seen, but a very scary situation with actual fire sparks coming out of the fixture. We felt lucky not to have been injured. The hotel staff person immediately shuttled us out of the room, acknowledging we could not stay there and would be relocated to a different room. Even though we were moved, we continued to express safety concerns about a potential fire hazard from the wiring. They assured us this was an isolated incident and the situation would be repaired. However, we later learned from another participant in the hiking program of a similar situation with a different room where she told us the sparks burned into the wall when her husband turned on the light. It is our sincere hope that sharing this experience will help ensure the safety of future guests and employees. 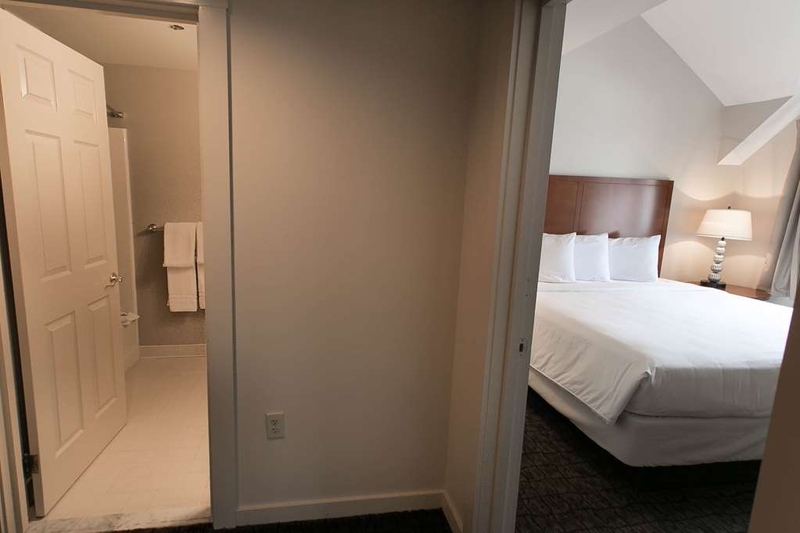 We also note that the hotel appears to be dealing with some major water leakage issues, with water flowing through the ceiling in the exercise room and in some guest rooms (and it wasn't raining). We are not sure exactly what the renovation encompassed, but between fire and water, we hope the hotel can properly inspect and tend to structural issues for the safety of all. we have always loved this place before it was remodeled, now its just simply amazing. The staff go out of their way for you! Huge thank you to Jess, Brianna, James and Max. Every time we saw them they seemed happy to see us and took care of our requests. Breakfast was fantastic as always with plenty of food. We even saw a bear!!!!!!!!!!!!! while hiking truly a authentic experience. after a few drink at the bar we soaked up in the hotub. thankyou again everyone we will BE BACK! "A recently "renovated" hotel that is in need of renovations"
I recently visited this hotel as part of a hiking spa affiliated with the hotel. To put it bluntly, the hotel was terrible! I was not anticipating the amenities of a Ritz Carlton, but the place itself was dour and sad, no A/C in the corridors or half the rooms, a toothless gentleman at the front desk who didn't really know what he was doing, no valet to help with the bags, foul musty odors everywhere, etc. The swimming pool was being renovated and was unavailable -- during the summer when we needed it in 90 degree heat! Several other guests reports sparks coming out of light fixtures. All in all, an experience so bad that we cut our vacation short by two days just to get out of the hotel. I consider this hotel a fire trap. Please be wary of staying here! We stayed here July 7th 2018. Arrived late in the evening but were greeted by James who really did make our stay more enjoyable starting by making check-in a breeze with his fun and positive attitude and then keeping the hot tub open a bit longer past the hours as he saw we were enjoying it. Very nice hotel. Clean beds and are comfy along with beautiful balcony views. Amazing fun game room with giant jenga, connect 4 and pool table. Will absolutely visit again. Great hotel and location but the staff and James are what really made it memorable. "Very dated - grossly understaffed"
"I've never stayed in a..."
I've never stayed in a BW signature Collection. This was on par with a Marriott. I liked the wood and stone. The staff we exceptional. They went out of their way to make us comfortable. We had questions about the heat, restaurants, etc. and they answered them all. I feel like they were a little short staffed, which resulted in a lot of hustle. Great, friendly staff. We had a wonderful stay at this lodge. 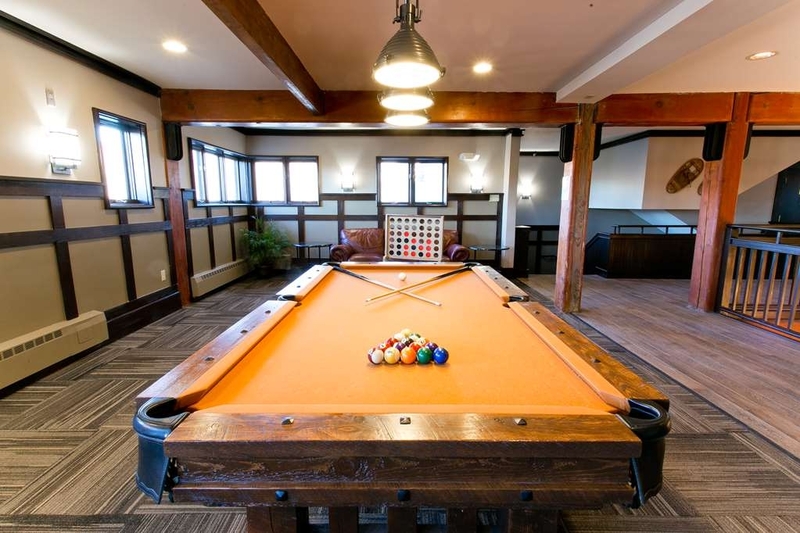 The common areas with billiards, oversized jenga and connect four was a great place to gather and have the kids play. Wonderful breakfast too! Krista B thanks so much for your great review. We are so pleased to hear you enjoyed a wonderful stay with us and that you enjoyed our friendly staff. Also great to hear you loved the fun games for the kids and our breakfast. We hope you will return again one day soon. "Refurbished??? Not really, but OK anyway." The New Life Hiking Spa is located in this hotel and we just returned from a four day trip. The hotel has supposedly been recently renovated but there were still issues. Carpeting was worn and many windows did not open. THAT BEING SAID, this was not a bad place at all. The staff is awesome, the breakfast looked bountiful (didn't actually eat it as the spa provided food). The facilities were clean. The hot tub was really nice. They should downplay the renovation to avoid overinflating expectations. My family came to Vermont to visit friends. Found this hotel and so glad we did! We had a great time. The Staff was friendly, hot tub was very relaxing and the rooms were just what we needed. Can't wait to come back! "No heat and no coffee"
I read the multiple reviews before booking our room and figured we had a 50/50 chance on things being okay. The facility itself is a little beat up but I expect that from any ski lodge and could live with. We arrived after 10pm and our room was waiting for us. The one bad thing, we had no heat. It was a cool VT evening in May that felt more like March. Since we got in so late we didn't say anything about the heat thinking that we'd just get under the covers and would be fine. If the room were a normal temperature the bedding would have been fine but considering the room was exceptionally cold, the bedding was not sufficient and we all spent the night curled up in a ball trying to retain heat. We had an event to go to the next morning so we planned to leave the hotel at 8:30am. We went down to the breakfast room at 8:20am and they were out of coffee. We had asked but unfortunately since we only allowed ourselves enough time to toast some bread and grab a cup of coffee, we were not able to wait for them to bring more coffee. I wasn't expecting a lot but heat and coffee would have been nice. I think in the middle of ski season this resort would be a great time. The common areas were large and clean. The outside Jacuzzi area was beautiful and the multiple indoor fire places would add a nice warm touch in the middle of winter. If they could get the small details like heat and coffee down, I would give it a better rating. "Not bad but not good either"
I hate giving bad reviews, but I'm afraid I must. This hotel was just really run down. The window in our room was broken, the safe was broken, and there was a stain that looked like blood on the shower curtain. The people there were nice, but there was a lot of cleaning that needed to take place. On our first morning there, we left the room for probably 5 hours and came back to find that the room had still not been serviced. I had to call Housekeeping to have them come clean the room, after they asked me, "Do you still want the room serviced"? When we got back, although the room smelled good, there was some sand on the carpet, and some other things that clearly had not been vacuumed up. I don't drink, but my husband ordered a scotch at the bar and they said they didn't renew their liquor license in time so there was only beer and wine. He was kind of annoyed at this. Granted, we were there at the very end of the ski season, and I can tell myself that they were going to clean before the start of the summer season but... On a positive note, the breakfast was great and the snacks they put out at night in the lounge were yummy. The hot tub was great after several hours of hiking, but the place definitely needs some TLC before I would stay there again. Oh also- under their sign, it says there is a "Spa". I asked the front desk about it and they had no idea what I was talking about. They said there were some wellness classes coming in, and maybe that was the spa. I thought that was kind of odd. Access road hotel, awesome setting with stone fireplaces, movie theatre , games and amazing “get your feed on” complimentary breakfast James the manger is amazing and accommodating too Thanks for awesome stay every time!!! Bean5683 thanks so much for taking time to leave us a review. It is great to hear that yuo loved our awesome stone fire places, movie theater, games, and breakfast. We thank you for your compliments about James, we will surely pass this along to him. You are welcome for the awesome stay, and please let us welcome you back again real soon. "Found it after years of searching!" I've been travelling for business and leisure for more than 40 years, staying in thousands of properties. This dump is by far THE WORST hotel I've found in America, maybe anywhere in the western hemisphere. Let's start with the guest rooms. Do you like mold? Smells? Broken windows? Lights that won't turn on? Carpets which are older than you are? Floor lamps that don't work? How about a dehumidifier that's designed to vent to the outside (with a dryer hose attachment, hacked off by a pair of garden shears) sitting in the middle of the floor, venting right back into the room? If that's your dream vacation, you'll find all those here. How about a lobby with bare floors, and all the charm of a police station? Check. A 15-minute check-in? 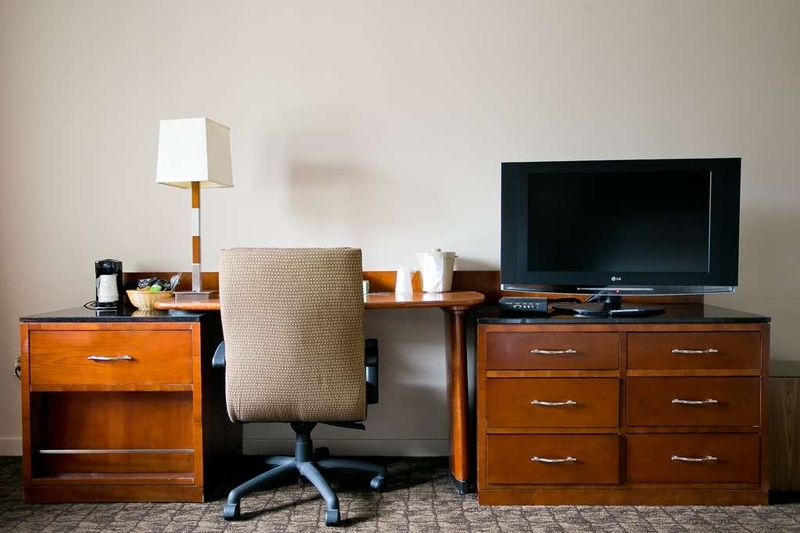 A disheveled desk clerk who can't figure out Best Western Rewards? No luggage carts? An honest-to-God dirt parking lot? Where else can you find that in America in 2018? Right here, believe it or not. The mold in the room was so bad my wife's allergies went into hyper-drive. We had to leave and find another property. And now I need to fight with VISA over the bill (we were told we would not be charged, but we were). Truly the most dreadful property I've stayed at in 40 years. Best Western should be ashamed of themselves for allowing this hellhole into their collection. We apologize for your poor experience and impression of us. We do thank you for your input and we have shared your review with our staff. As we assured you when we called you on the phone tp personally apologize, your card was charged in error and we have refunded the amount charged. We appreciate your feedback and we hope to use it so that no other guest has such an unhappy experience. 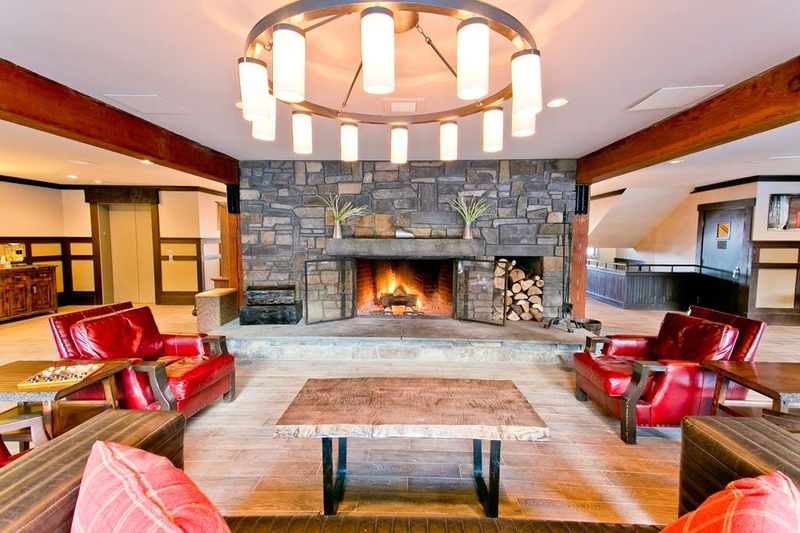 Overall the Killington Mountain Lodge does a good job for the money. Nothing too fancy but the hotel staff went out of their way to make the guests comfortable. Rooms are fine, nothing fancy. No in room temp control and a few toilet issues but otherwise an OK stay for the price. Thank you for letting us know about your stay and we hope to see you again very soon. This hotel is fabulous and we have James to thank! From the moment I called for reservations he set things in motion for this to be a special trip. I wanted a room/suite that I could bring my daughter, son in law and two grandchildren to. James made certain we had the exact room I wanted and set us up in a family suite that was wonderful! It was a corner room at the end of the hall, away from lobby noise. The room could not have been better. James was welcoming both in making my reservation and when we arrived! He had the room ready and couldn't have been more welcoming! My 3 year old granddaughter loved him and he even played hide and seek with her. He talked with her when she was sad and she got completely happy! The room was clean and very, very comfortable. The bedding was nice and comfortable, pillows fluffy and soft and our room even had two balconies! The price was amazing...we stayed two nights and wanted a third! The housekeeping staff, the lady at the bar...everyone we came in co tact with was absolutely wonderful! We will most definately be back!! Julie V thank you so much for this awesome review! We are so glad you chose to stay with us for some Spring Break fun. It's great to know how awesome of a stay you had, thanks so much for sharing. We will surely pass on your kind comments to James, he will be very happy to hear. We can't wait to welcome you back again next time for another excellent stay! "My favorite Spot to Stay"
I go up to Killington 10+ times in a season to snowboard. This is my favorite place to stay. Rooms are nice and comfy. Continental breakfast is delicious and I love the hot tub, great view of the mountain both day and night. Location is great, less than 5 mins from multiple lifts and tons of restaurants. bgilroy51388 Thanks so much for the awesome five-star review! 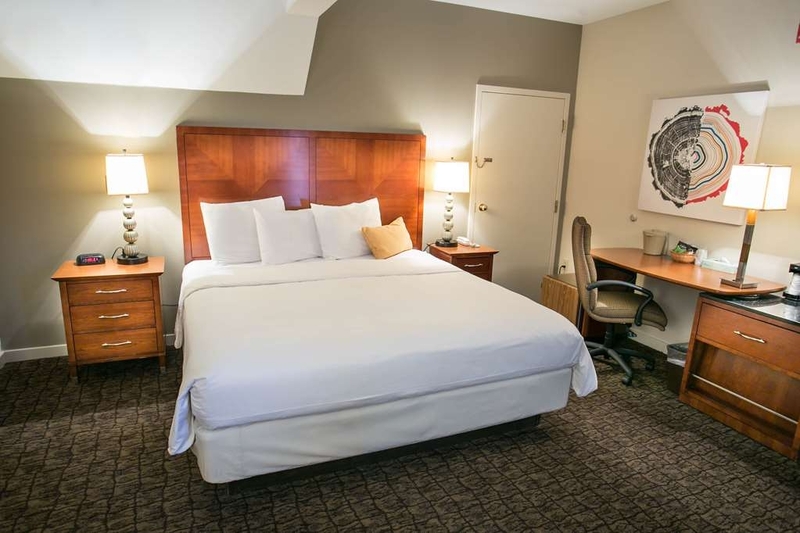 We are so happy you visit us so often and we have your favorite place to stay. We love all of your great feedback that you have shared. It's so good to hear you love the hot tub, the location and the nice and comfy rooms. We can't wait to welcome you back next time for another great stay. The location and facilities are great! My boyfriend and I chose this hotel because we aren't really bed-and-breakfast-type people, and we were looking more of a real hotel. This was the perfect place for our ski weekend, and we would definitely go back. I highly recommend it. lliberman123 thanks so much for taking the time to leave us a review. We are happy to hear that you loved the location and the facilities. So happy this was the perfect place for you and we hope we will get to welcome you back again next time! We had a nice stay at this hotel. The two guys who checked us in could have been more friendly by saying things like "welcome" and "enjoy your stay". They didn't say much and did't make us feel welcome when we arrived. The place is a old lodge that has been updated. The rooms were clean and basic. Walls are a little thin. You could hear noise from other rooms and doors slamming. Good place to stay when visiting Killington. Good breakfast in the morning and the girl attendant was friendly when we checked out. Thanks so much glennrr for leaving us a review. We are so happy to hear that you had a nice stay at our hotel. We are very sorry for the unpleasant check in and we will address this. We appreciate your feedback and your candid comments as they help us to do our job better. We are glad that you enjoyed the breakfast and the attendant and had a friendly checkout. We do hope you will visit us again sometime. "Ok for price but we won't be back "
Our expectations weren't high for the price and location which were excellent. Breakfast was good value. However housekeeping really lets this place down - sporadic ‘cleaning' and retaliation when we didn't leave a tip one day as didn't have change - they cranked he heating up high - it was crazy hot when we came back! Vent to outdoors in room wall was blowing in cold air so got front desk to duct tape it closed - it worked but not what you expect! Beer cans floating in hot tub is gross - they should really restrict it. I wouldn't mind but I had little kids who wanted to go in there. It's a shame as this place has potential but we will pay more in future and stay elsewhere. Thank you Helen for taking the time to leave us a review. We are glad to hear that you enjoyed the breakfast of good value. We're so sorry you had a negative experience in our hotel, as your experience during your stay sincerely matters to us. 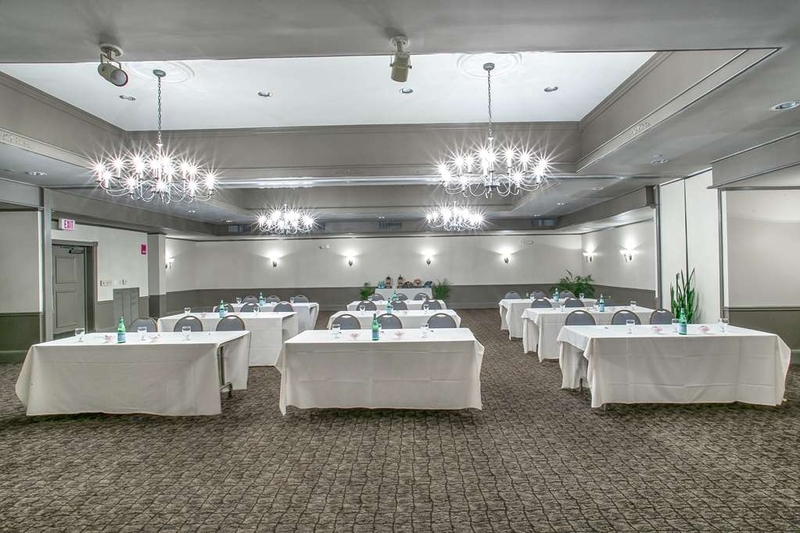 We would love to have the opportunity to address your concerns if you could reach out to us directly at the hotel. We appreciate you letting us know. Candid comments always help us do our job better. "Can't beat this for the price!" I know, it is a Best Western, but it felt more like a Marriott. We took a last minute quick overnight trip to Killington and picked this place based on the pictures and it didn't disappoint. Guests were enjoying the hot tub (we did not go in) in the freezing weather. The fire places made it feel like a legit ski lodge. You could walk across the street for a great burger, gyro, and craft beer. The rooms were on par with a Marriott courtyard and the buffet breakfast was substantial. Lastly, the staff were phenomenal. From check in to check out, they were on top of it. 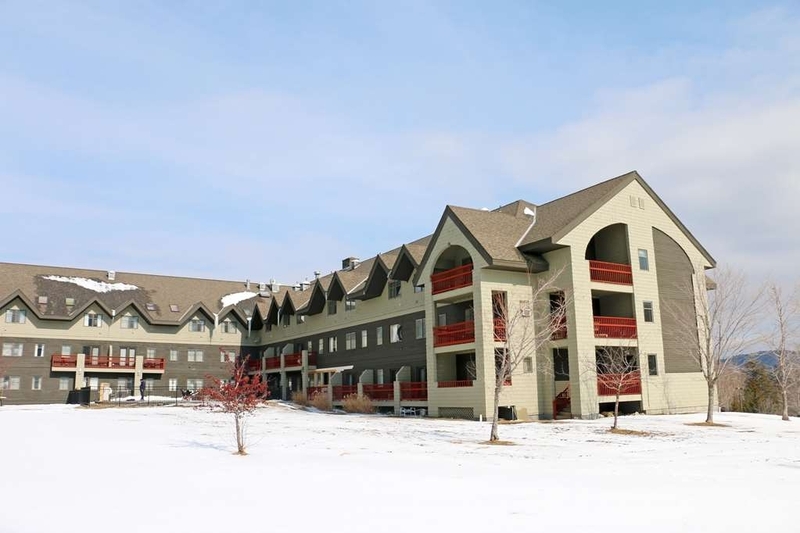 Just 5 minutes from the slopes and a block from multiple ski rental places if you are renting. Thank you so much for taking the time to leave this wonderful review, mattkap! We're so pleased that you had such an excellent stay with us, and we're so happy you enjoyed the facilities, breakfast and our location! We hope to welcome you back again soon! 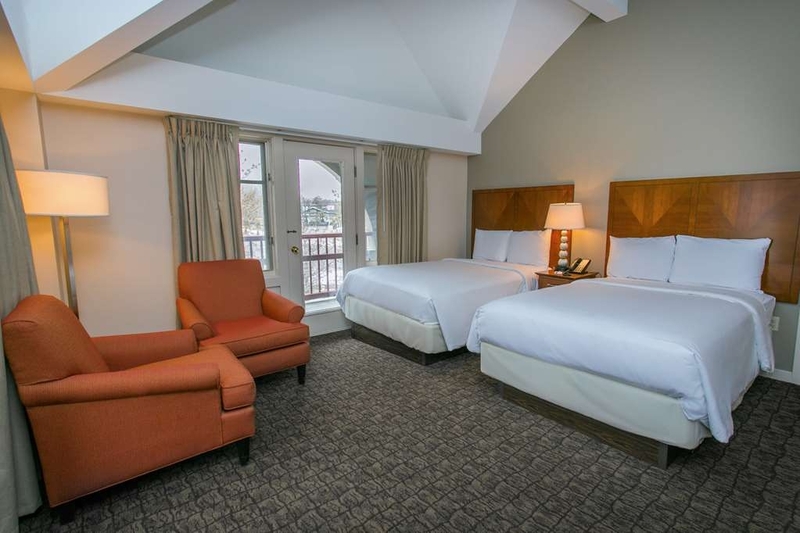 "I always enjoy staying here"
Killington Mountain Lodge is one of the better places to stay on the Mt. 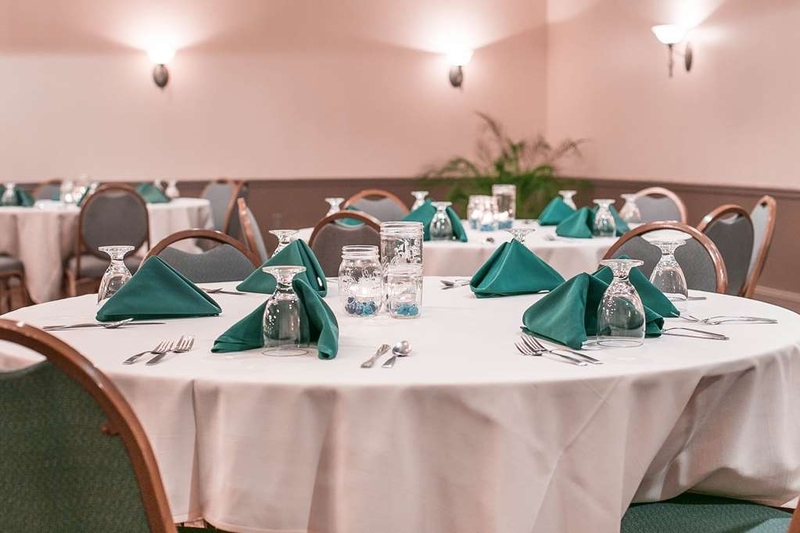 Attentive staff, clean rooms and great breakfast. The shuttle to Snowshed is quick and convenient and most importantly, dependable. The driver, Gary, is a fountain of information on mountain conditions and local restaurants. The lodge itself is clean and comfortable, especially the beds. In the morning there is a great breakfast bar with a varied assortment fruits, cereals, eggs, etc. In the evening it's nice to pop into the bar for Long Trail or something to eat. Very relaxed and laid back. I'm looking forward to being back up there for some spring skiing. Thank you so much for taking the time to leave this review, frnjan! 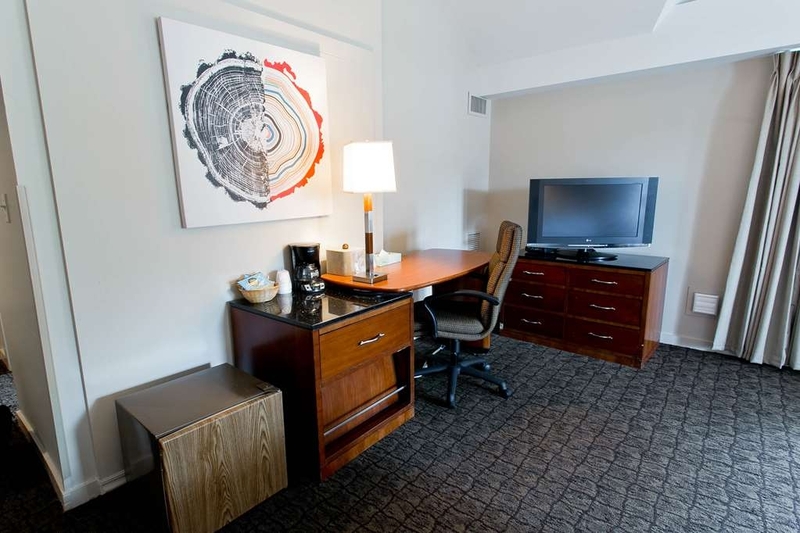 We're so pleased that our staff provided you with excellent service, and that you loved your room and breakfast! We're happy that you loved every minute with us, and we can't wait to welcome you back soon! 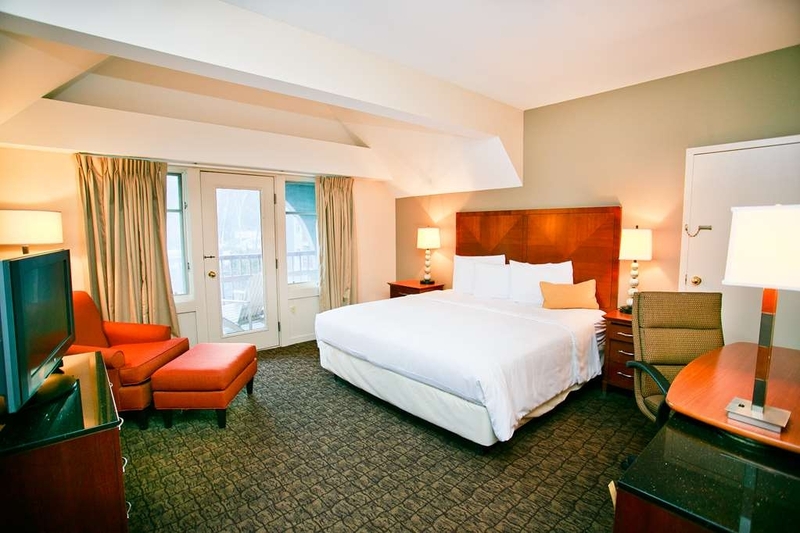 "Great place to stay at Killington!" My family and I went to Killington for our Spring Break vacation. We stayed at the lodge for four nights. I will stay again if I ever come back. The hotel is pretty, the rooms are spacious, the breakfast is wonderful, and is very close to the ski mountain and restaurants. The hotel provides a shuttle to the mountain. The hotel personnel is very friendly. After skiing my kids enjoyed playing at the pool table or with the big connect four. The hotel also has a movie theater and a pool. Mariela, thank you so much for taking the time to write this review! We're so pleased that you had a great Spring Break stay with us, and that you loved our hotel, your room and breakfast! We can't wait to welcome you and your family back again soon! Too many room issues to mention. Analog tv, portable heater, exhaust for humidifier in room not connected, cable and electrical outlets have gaps, cable for tv run externally around a door, possible mold in bathroom, cosmetic issues, etc. This hotel offers a lot of awesome perks including: breakfast with a waffle bar (delicious), giant outdoor hot tub, and a bar with games (giant checkers, giant jenga, pool). We didn't spend much time in the room but it looked like the prior occupants had a fun night in the room. Our room was on the third floor overlooking the pool area and one of the windows was broken so it wouldn't lock closed and the screen was dented. There was also some damage to the wall. But the sheets, beds, and bathroom were all clean. We notified the front desk of the window and they offered for us to change rooms. Overall I was very satisfied with this hotel and would stay here again. Thank you, Meredith, for taking the time to write this review! 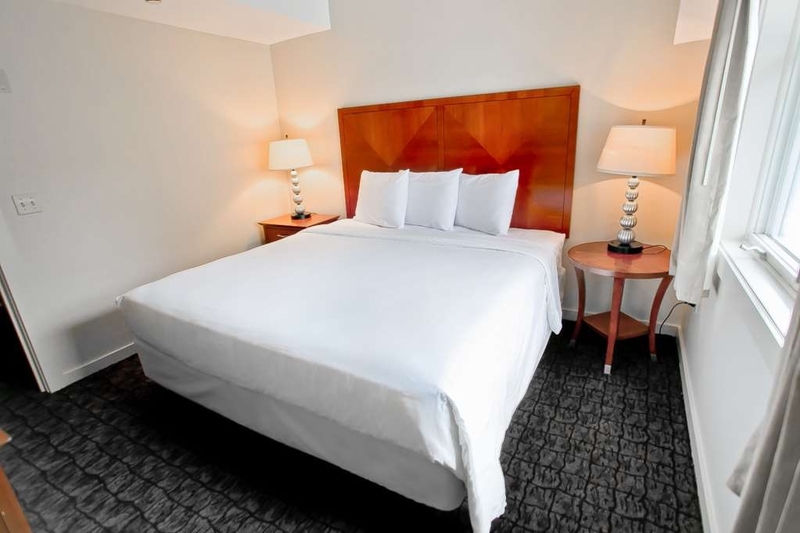 We're so pleased that overall you had a great stay with us, and that you enjoyed our amenities. We're sorry about the issues you faced in your room, and have passed this information along to our management team. We're happy that your overall experience with us was pleasant, and we can't wait to welcome you back again! My family stayed here for 5 nights and we LOVED it! Check in was super easy, and we were welcomed into a lobby area with a huge fireplace. This place is so cozy with it's rustic mountain decor! On the first floor there is a pool table and some other games, a bar area, and another sitting area with a fireplace. In the evenings, we would come down and sit in the bar area or play games. You can order some food, have free hot chocolate, tea or coffee at any time during the day and the WIFI (free) is very good. On the main floor, they show 2 movies per night, one for kids at 7pm and one at 9pm. If you're into hot tubs, there's a huge hot tub outside with a fire pit. It was so pretty especially while snowing. For those who would prefer to stay indoors, there is also have an indoor pool! There is free breakfast in the mornings and it's actually quite good with lots of variety. There's always somewhere to sit (not over crowded) although it is most crowded at 7am since everyone is itching to get to the mountains by 9am. The rooms are nice, nothing too fancy, but clean. I didn't like the sheets on the beds so much as I would have preferred a nice thick duvet (it's just a covered comforter), but they were comfortable. 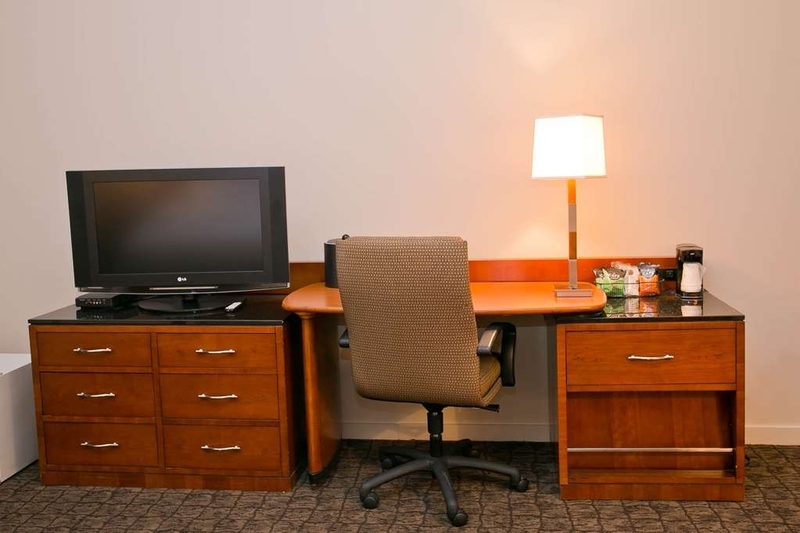 The room comes equipped with coffee machines, a small fridge, a safe, and a hair dryer. If there was anything I could change, it would be the bed sizes... the double beds were a little "cozy" for us (family of 4) and maybe queen beds would be a little more comfortable. We've skied quite a bit on the west coast and Quebec. This was our very first ski trip in the East (Vermont). We felt very welcomed by the staff at the hotel and my kids (8 and 6 years old) had loads to do! I felt as if we were in a cozy little mountain chalet and that is exactly what I would want on a skiing trip! We will most definitely return to this hotel when we come back to Killington. STK23, thank you so much for taking the time to leave this excellent feedback! We are so pleased that you and your family had a five star experience with us, and that you loved all of our amenities. 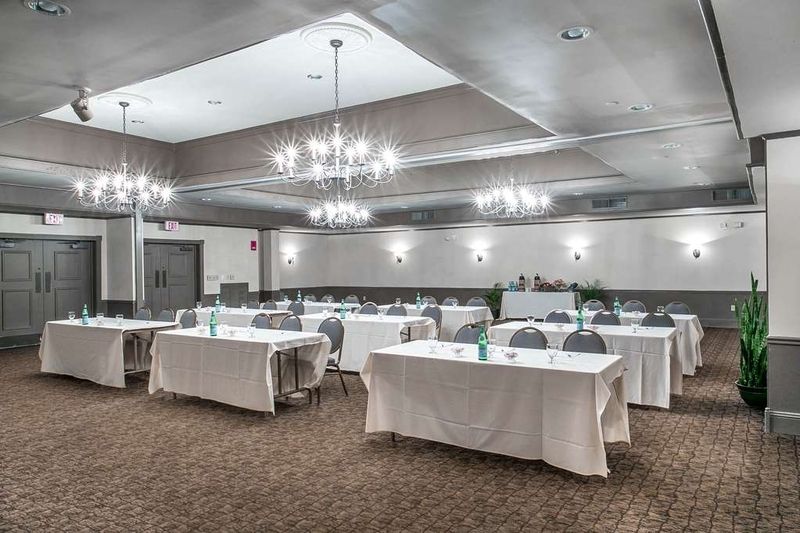 We love reading that our staff made you feel welcome and accommodated during your stay with us, and we cannot wait to welcome you and your family again! "Powder ski trip at Killington"
Very nice hotel. Accepts dogs. Very quiet room. Excellent breakfast served to prepaee you for a solid ski day. They provide free shuttle but also close to the ski resort. Coming back and relax in the hot tube after an amazing ski day. A place to stay if you want a great time before and after your ski day. ALL staff was agreable and very accomodating from booking until the end. Thank you so much for taking the time to write this review! We're so pleased to read that you had such an excellent stay with us, and that you enjoyed our hot tub after a long day on the slopes! We're also pleased to read that our staff made you feel warm and welcome during your stay. 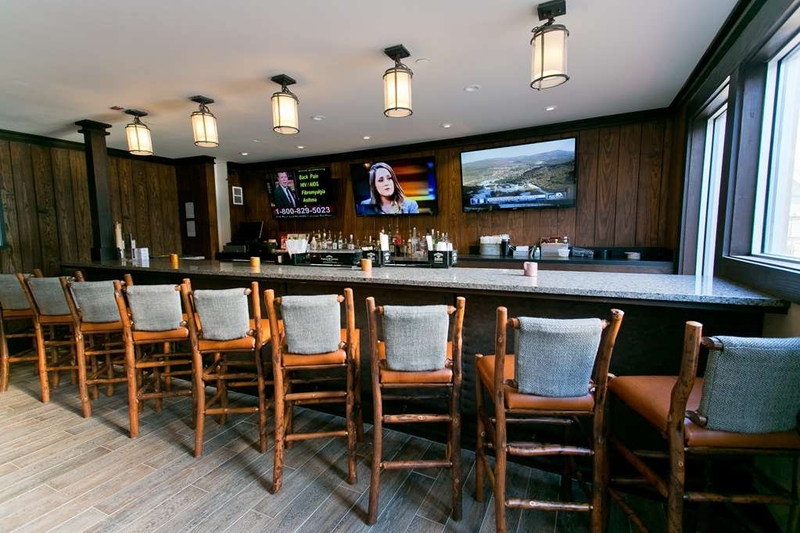 We would love to welcome you back next time you're visiting Killington! My husband and I stayed here for 3 nights. The hotel is clean and in a great location. Breakfast was included and had good options. The hot tub was nice after a day of skiing. We would stay here again. Good value! Melanie, thank you so much for taking the time to let us know your stay with us was great. 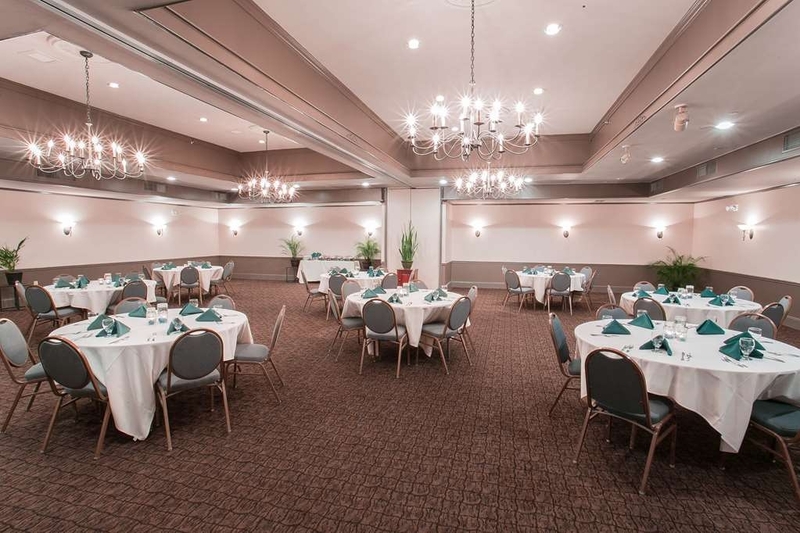 We're pleased that you loved our location, breakfast, and hot tub! We can't wait to welcome you back again soon. "Would not stay here again. It is falling apart"
The manager ended up moving us and comping a room because it was awful the whole time we were there. Kids were permitted to run all over the hotel all hours of the night and nothing was ever done. The items in the rooms, like bed, drawers, bathroom items, were falling apart and I have picture proof. The beds were awful and I ended up going out and buying a pillow to sleep since they were so bad. The bar was packed with kids that were never kicked out and the shuttle took you to the bottom of the mountain by the kiddie trail so it was useless for novice people. The bartender was the only person who cared about the guests, but was hardly ever behind the bar. The cords for the television were hanging from the walls with tape and the rooms were NOT clean at all. Would not ever stay here again. 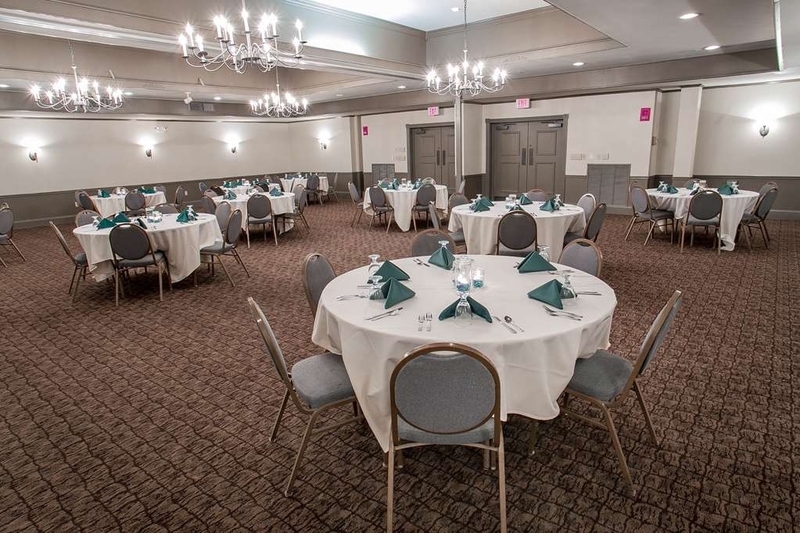 "Perfect location, great for families"
Killington Mountain Lodge is a perfect location and a great facility for families. The management still has a few kinks to work out - but overall, it was a great place to stay. I really had no issues with the stay but since you are a small staff trying to manage a fully functioning lodge, it was noticeable and keeps you from getting a 5... and only those that have little patience and 'snotty' attitudes will get annoyed with the smaller details (bar opened a few minute late, food service was a bit slow but on the flip side, the breakfast was amazing, the constant fireplace was homey, the waffles were delicious and your poolman who also served as the facilities manager and live musician was charming as can be). Myself and my boys loved every minute. Thank you so much for taking the time to leave this review, Dani! We're sorry that you felt our staff was not performing to their fullest, but they work very hard to make your stay comfortable and we truly appreciate your patience. We're happy that you loved every minute with us, and we would love to welcome you back soon! A little worn around the edges but absolutely family friendly, affordable and welcoming. Excellent access to the slopes. 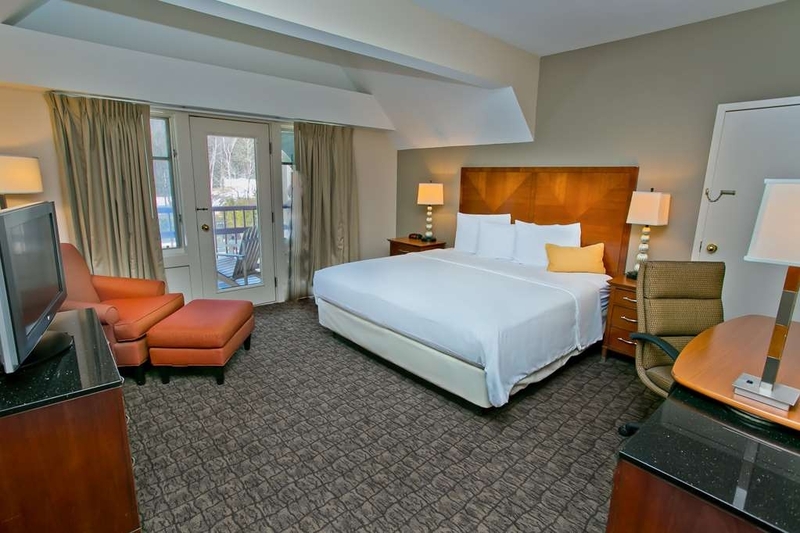 COMFY beds invite you to crash after a long day's skiing. The included hearty and tasty breakfast will fuel another full day of skiing. Welcoming and caring staff. Thank you, Felicity, for taking the time to leave this review! We're so happy you enjoyed your stay with us, and that our staff helped make you feel warm and welcome. We cannot wait to welcome you back soon! 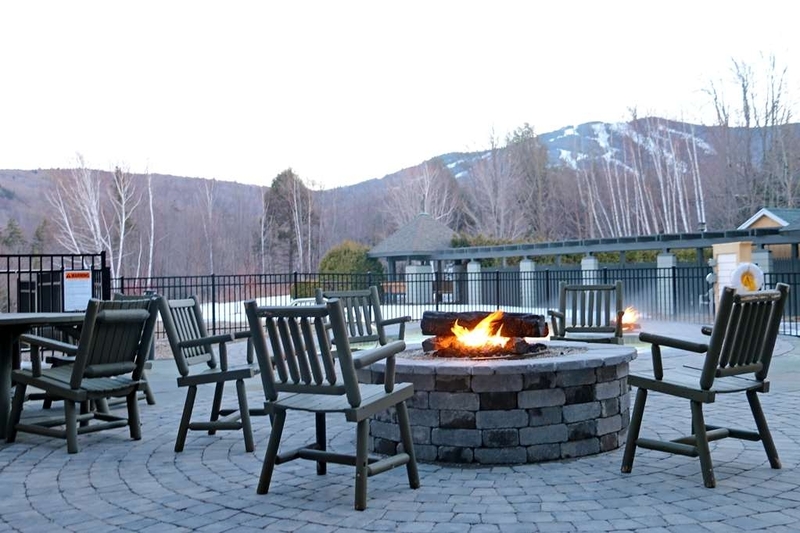 "Stay at Killington Mountain Lodge"
Our stay at the KML was fabulous! Our room was clean and comfortable. The staff at the Lodge were very personable and assisted us as we expected. The breakfast buffet was delicious with varied food each of the two times we attended. We'll return in the near future and would highly recommend the KML to others!! Kevin, thank you so much for leaving this feedback! We're so happy that you felt comfortable during your stay, and that our staff helped make your stay even more special. We cannot wait to welcome you back soon! 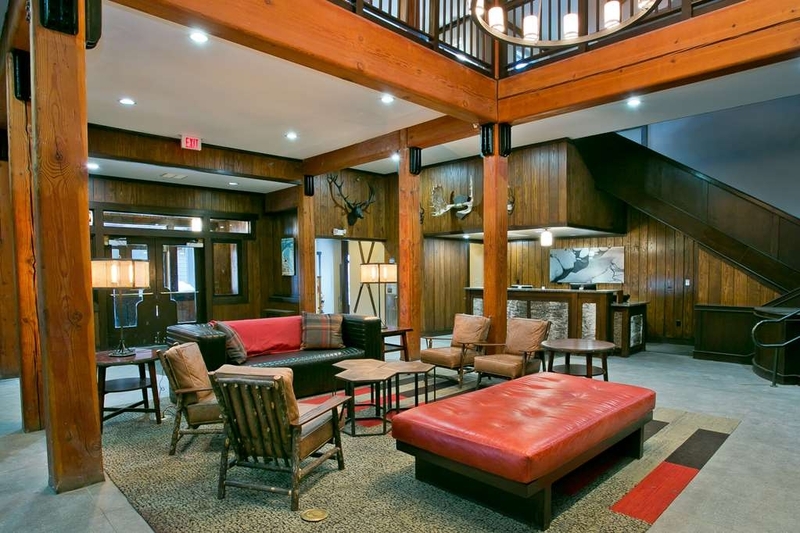 "Rustic accommodations close to Skiing and Dining"
When we looked into lodging to ski at Killington last weekend, we kept hearing friends say to stay at the Grand, and not to go elsewhere. 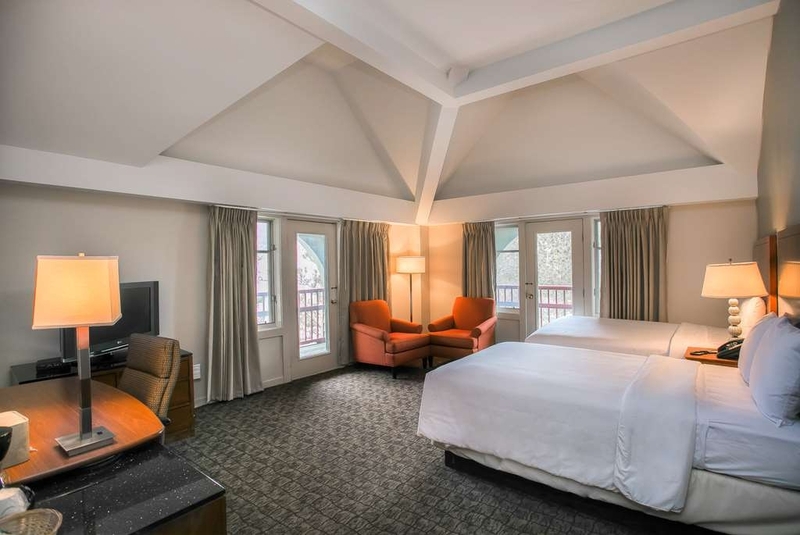 Well the Grand was going to be a $600 difference for the weekend and we pretty much just needed a place to sleep, so we booked a room at the Killington Mountain Lodge for my husband and 17 year old son and I. I am glad we did. Our experience was just what I expected based on reviews - rustic, comfortable, and fun. We stayed in a Double Queen room which came with a mini fridge, tv, and desk area. The room was warm at night and overlooked the outdoor heated pool/hot tub. Yes, the brown carpet was a bit outdated and the sink was a bit of a challenge to turn off. 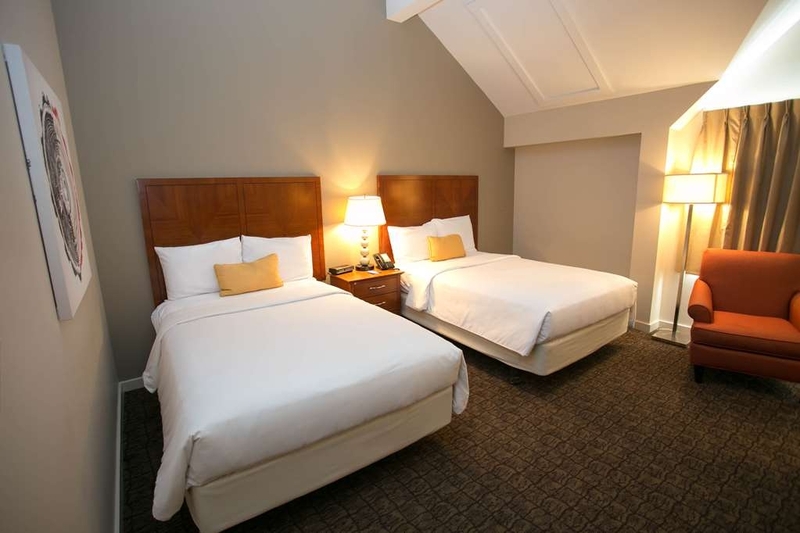 There was a slight musky smell, but overall it felt clean, and the beds were comfortable. I expected all of this because of other people's reviews, so there was nothing to complain about. I have very sensitive allergies, and did not have any symptoms suggesting mold or mildew or smokers in the room. We used the outdoor pool which is mostly a very over-sized peanut shaped hot tub. It was always very hot and had constant bubbles. The water was a bit murky, but we did see them testing it. So we were hoping it was treated as there were a lot of people using it throughout our stay. We appreciated the complimentary breakfast. Each morning, scrambled eggs, fried potatoes, ham and sausages were served. There was a waffle making station, and cereals and fresh fruit. A coffee/tea/juice station was available for drinks. They did a decent job keeping the food fresh and refilled. 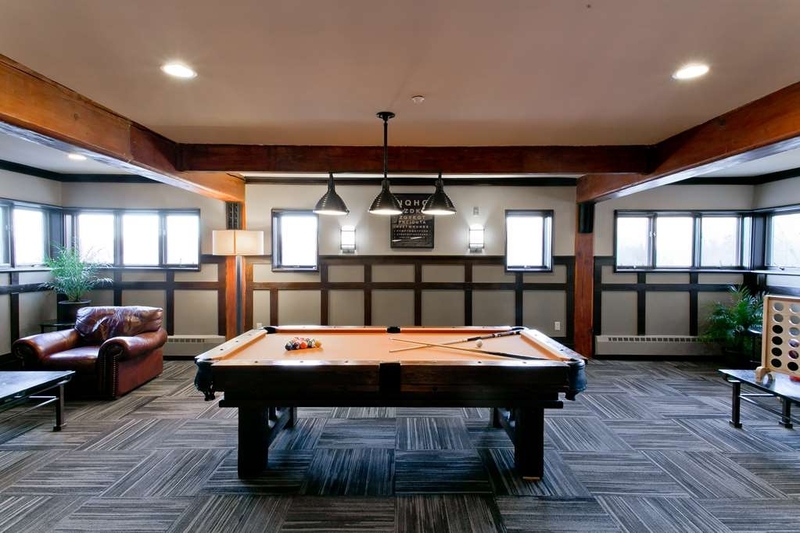 There are a few games and a pool table upstairs next to the breakfast area, and several seating areas near large fireplaces if you want a place to hang out that isn't in your room. The staff was very friendly and helpful when we forgot our toothpaste to provide enough for our three night stay for three of us. I tend to be pretty picky about where I sleep, and because of the expected rustic "charm" of the lodging, I can say I would probably stay here again for the price paid and the value we received. It is a 3 minute drive to the slopes with a free and friendly shuttle available door to door if you choose to use it. We enjoyed our stay at Killington Mountain Lodge. The location is very convenient to get to base of Killington. The smell of the lit fire when you walk in which automatically makes you feel like you are at a ski lodge. When we initially arrived, they said that our room wasn't available but moved us to another room. Our room was comfortable (but there was a broken window... which didn't really bother us). There is always coffee/tea/hot chocolate available throughout the day which was a plus. There were even cookies and apple cider available in the afternoons which was a great treat after skiing. The free breakfast was a plus, and they seemed to have something for everyone. There was a make your own waffle station which was a bit hit. In the late afternoon/early evening, we took advantage of hanging around the rec room area to play pool/jenga/connect four. We picked this hotel solely on an outdoor hot tub which we did take advantage of, and it didn't disappoint. When you are sitting in the hot tub, you can see some of the trails on Killington. Overall, we had a great experience there. The facilities are dated, but that didn't bother us. We are planning to stay here again next year. Thank you so much for this excellent feedback! Our staff works very hard to make you feel welcome and warm at our hotel, and we're happy to read that overall you had a pleasant stay with us. We can't wait to welcome you again next year! Very nice Staff! We had an amazing 4 nights there! The price was reasonable. At arrival they told us that the jacuzzi wasn't working so they offered us a full refund or a very good discount. We decidet to do the discount. The nice surprise was that that they fixed the jacuzzi the next day! The breakfast was AMAZING, i really enjoyed their waffle station. The dinner at the hotelbar was the only -point i would give them since it was overpriced and the portion size was small. But other than that a great place. The bed was comfortable and the room was big and clean. Thank you for this great experience we will definitely be back! I stayed at the Lodge for the Spartan Race weekend. I booked the wrong nights but the front desk took great care of me and made sure that I had a room for the nights that I needed. The hotel was neat and clean and the room spacious enough for a couple. I was happy with the hotel for the amount of time I spent there. For the past 3 years my boyfriend and I have stayed at KML for our anniversary weekend... I had stumbled upon the lodge through Groupon and thought we'd give it a whirl. Four years later, we refuse to stay anywhere else. The lodge may not be the most updated, and there are always a few bumps int he road but thats life and the staff, some in particular make up for it. Killington is an outdoors community so you shouldnt plan to spend all of your time inside and in our experience between the staff and accommodations it all balances out- when we have found ourselves inside KML has fun large games, like connect four, and jenga, a pool table and two beautiful fireplaces as well as a massive hot tub. 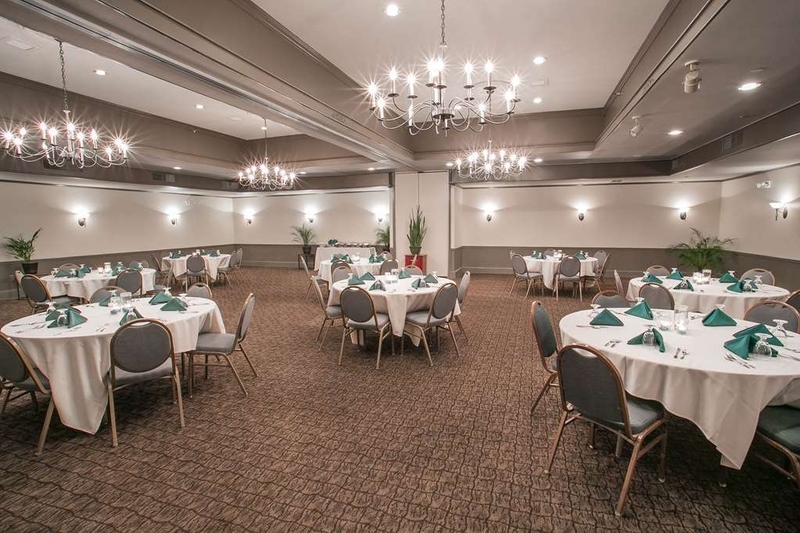 They also offer a wonderful breakfast buffet and a cute bar help that set the perfect lodge atmosphere. I always forget her name, but the one woman down at the front desk in particular always deserves a special shutout from us- every year she goes above and beyond- making our stay extra special and taking the time to make us feel like more than just customers. This past year she had a anniversary card delivered and a bottle of champagne, not every place does that! The lodge is the perfect location, close to the mountain, hiking trails, local state park, etc. Theres a golf course right next door, for golfing or just a nice little morning or evening walk. We really cant say enough good things about our time at the lodge and always look forward to our next trip up. My entire family including 6 grandchildren and 8 adults stayed for the busiest week of the season and could not have had a better time. services were excellent and breakfast amazing. Rooms clwean and comfortable. Home away from Home for a week.